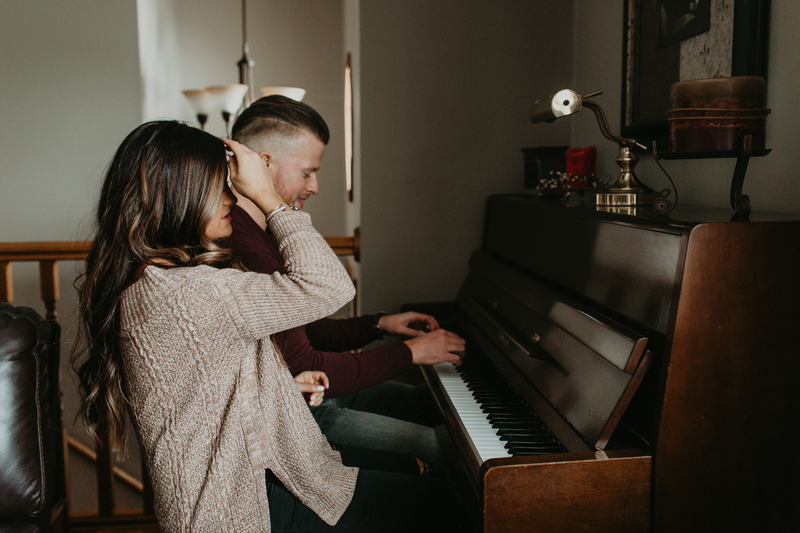 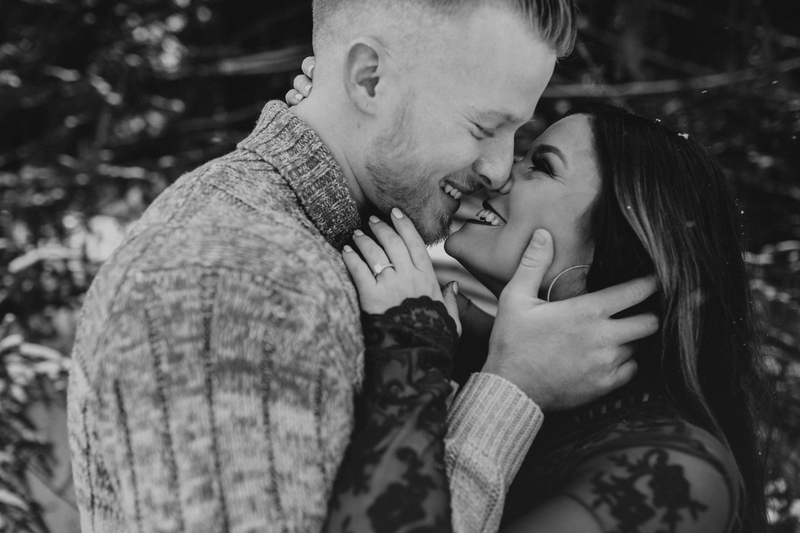 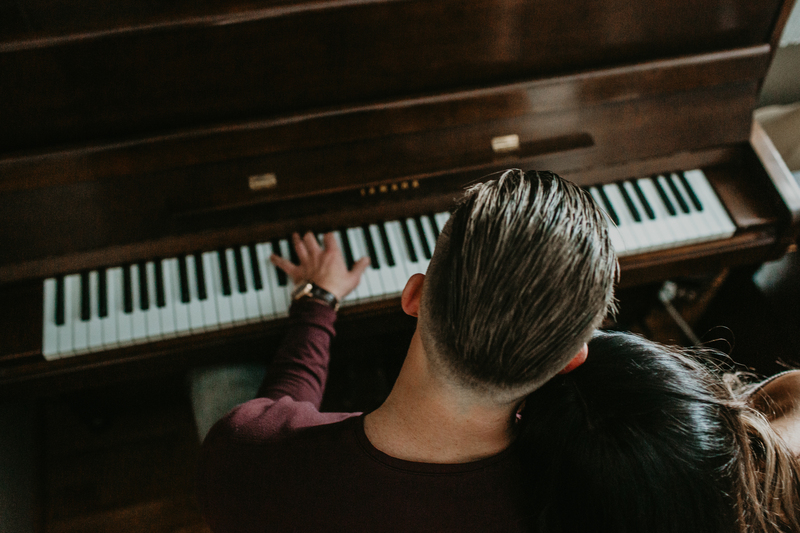 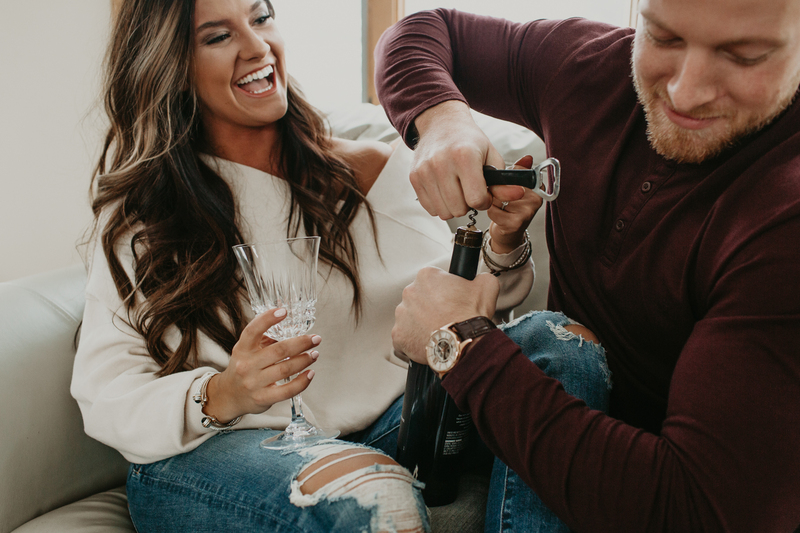 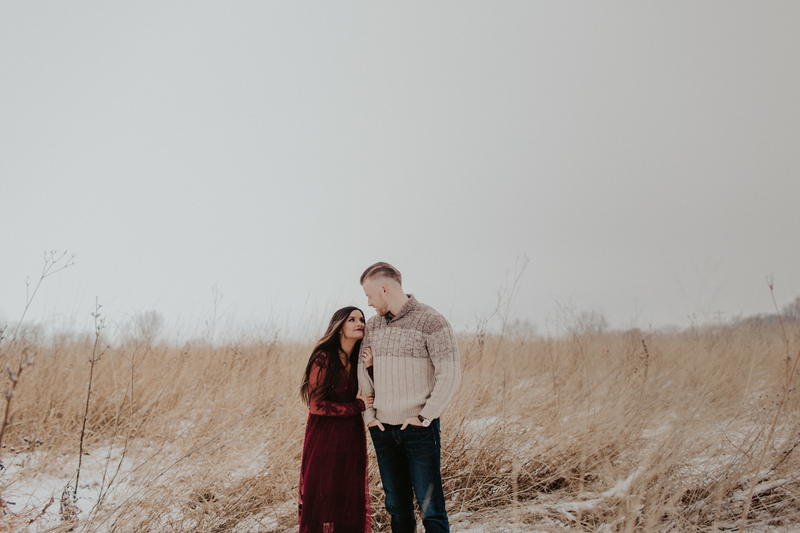 I have known Lacey since I first moved to the Midwest over 10+ years ago, little did I know then that I would be the one to photograph her engagement session! 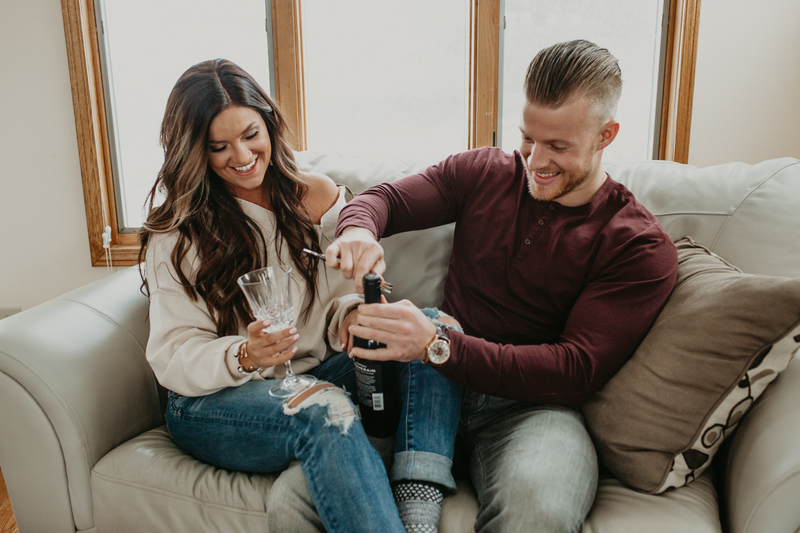 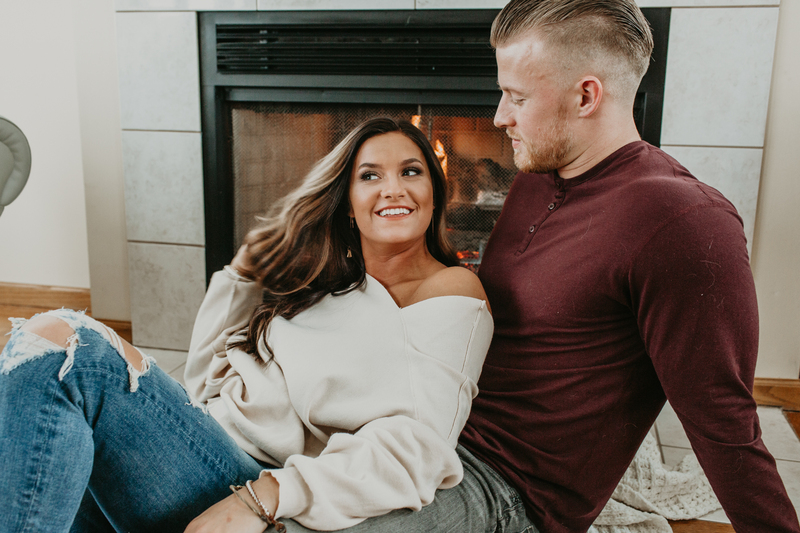 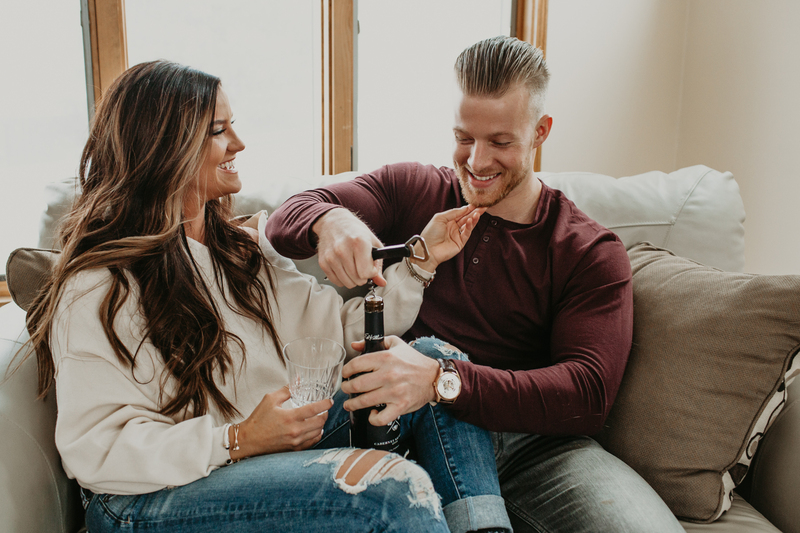 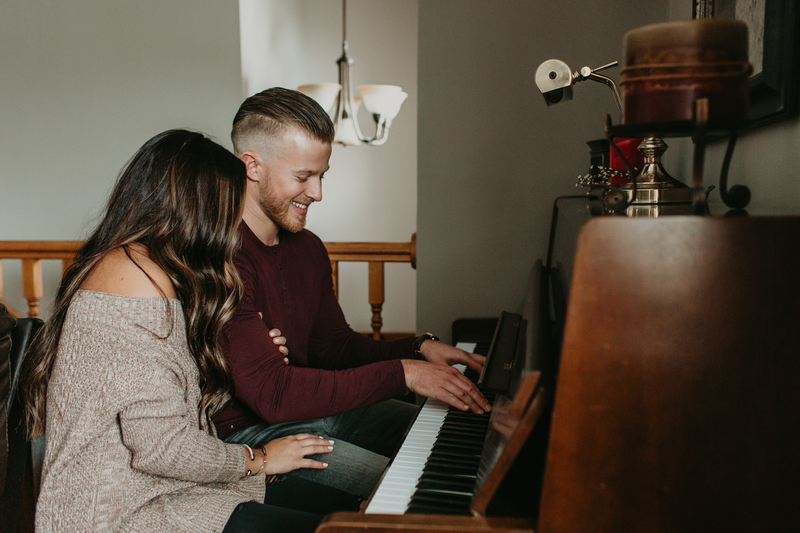 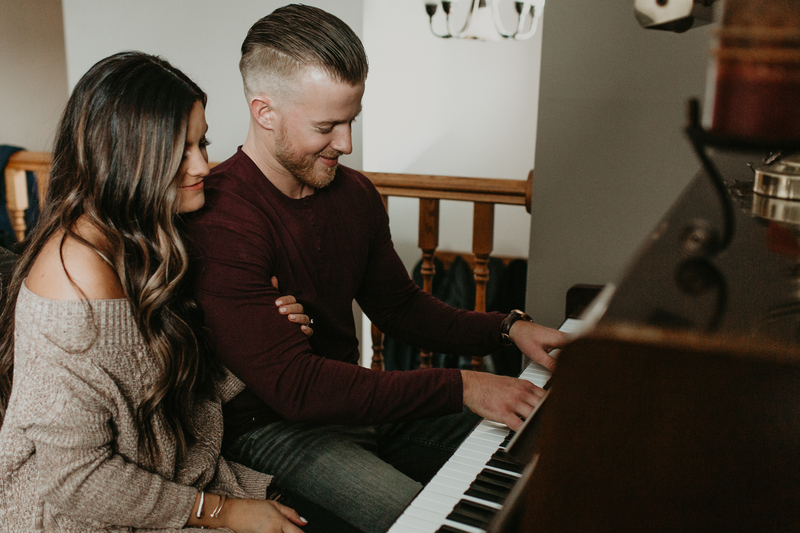 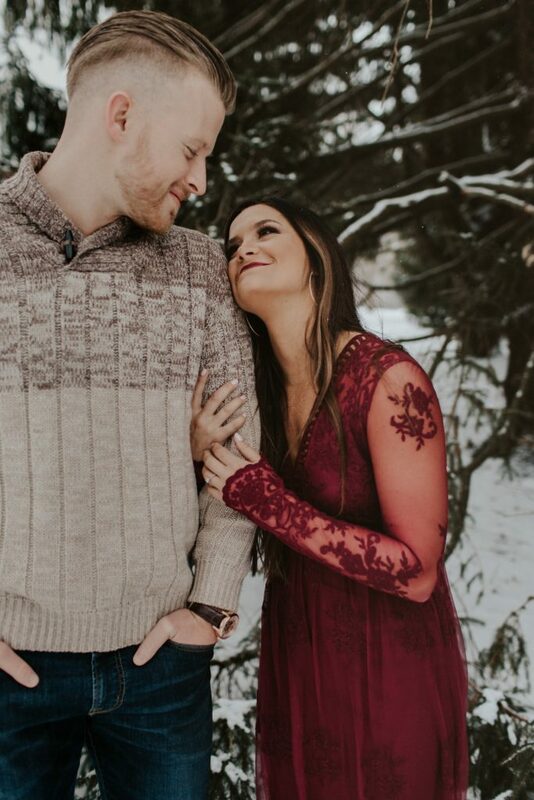 Lacey + Jared are truly a perfect match. 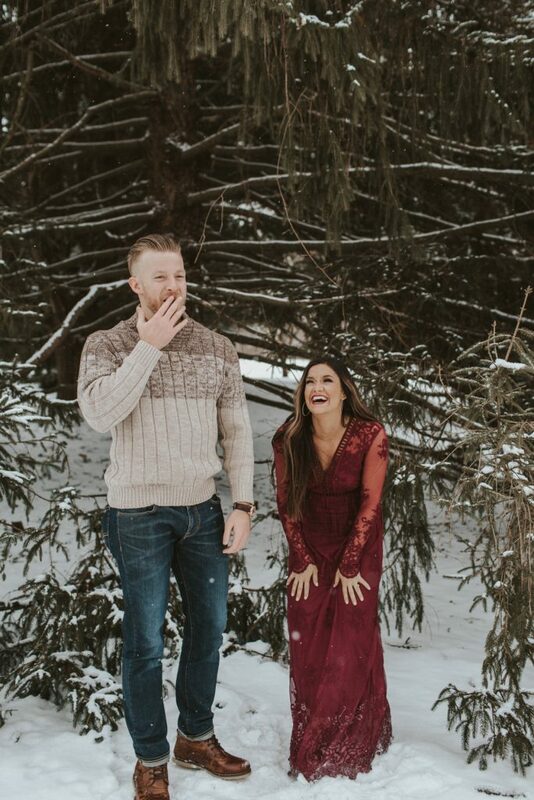 They balance each other out so well and never fail to make the other burst into the best kind of deep-belly laughter. 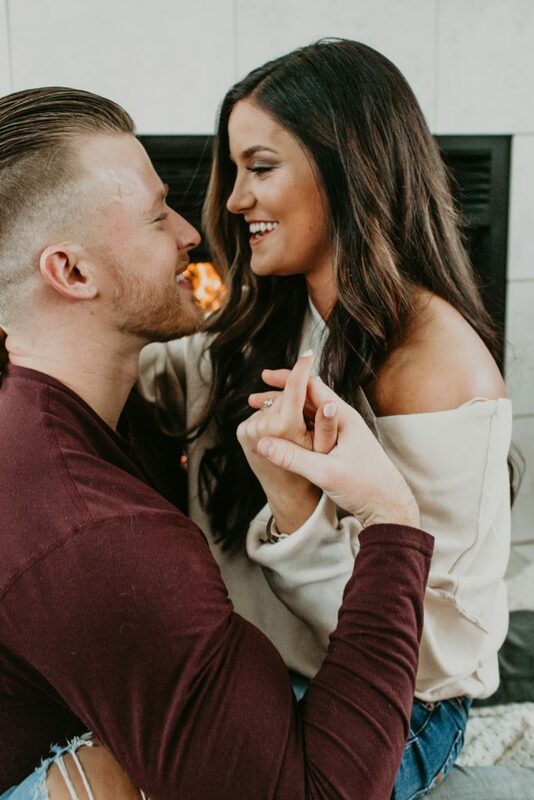 Months ago, these two shared with me their vision (well.. maybe it was more of Lacey’s idea, but Jarred totally got on board!) 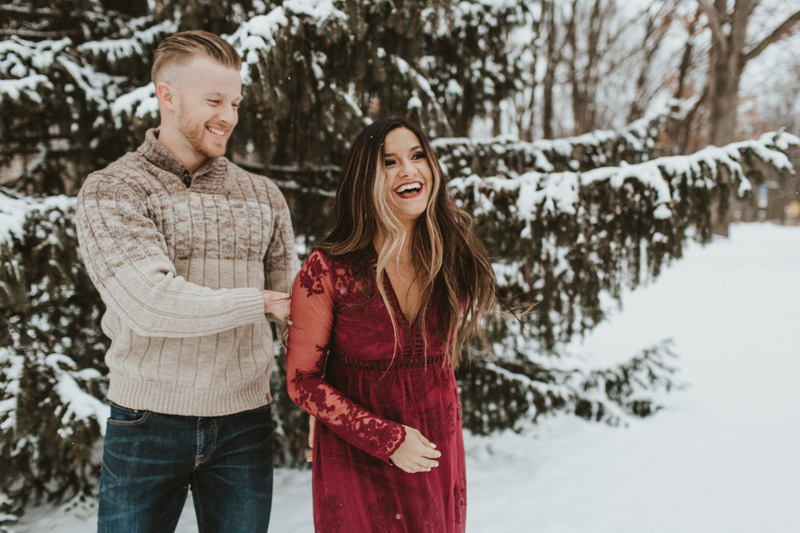 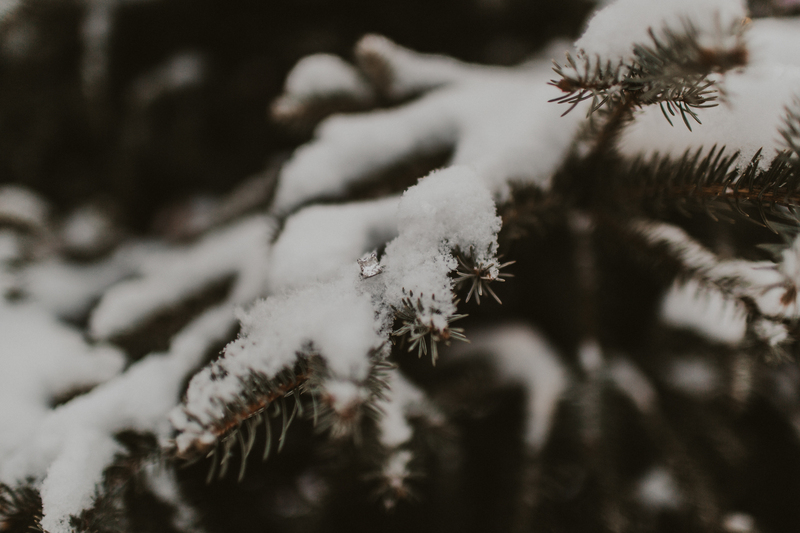 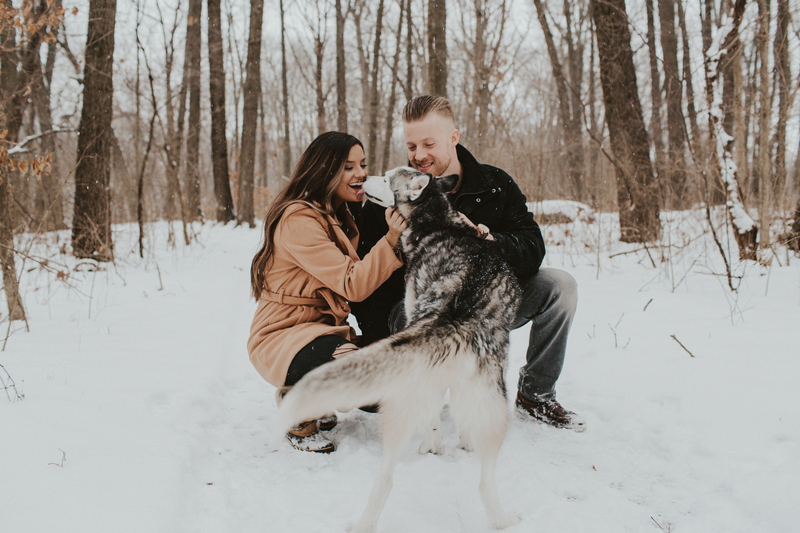 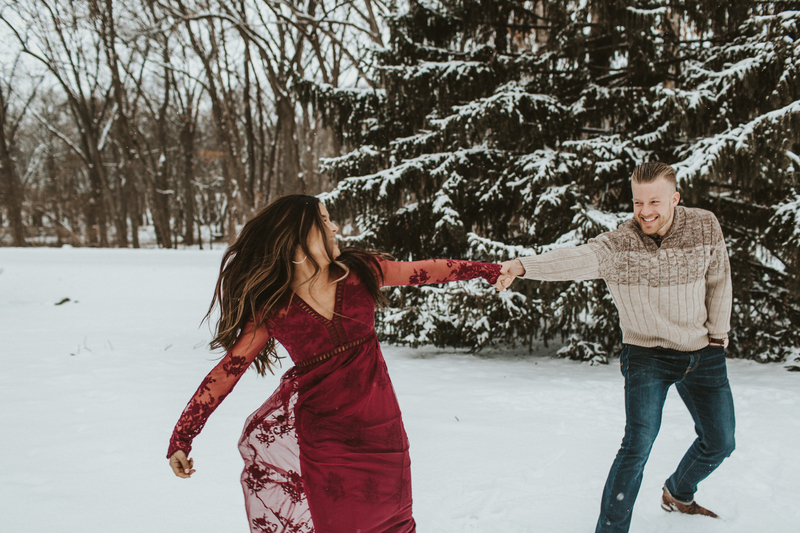 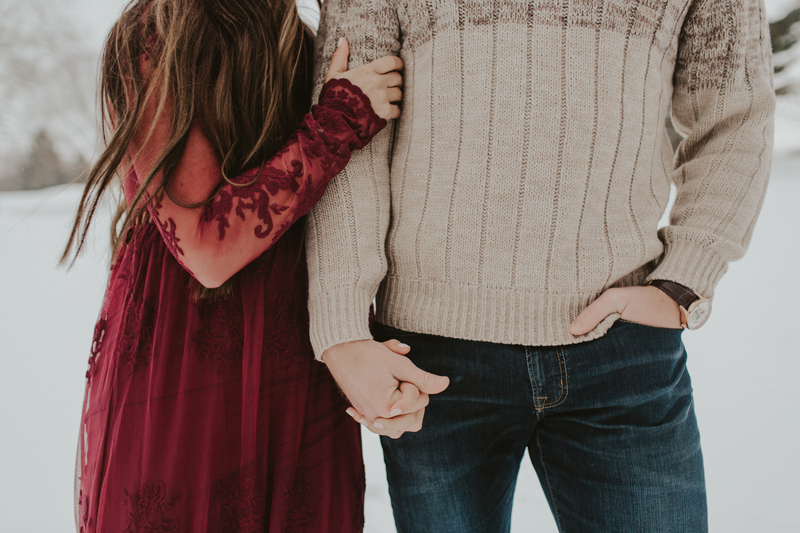 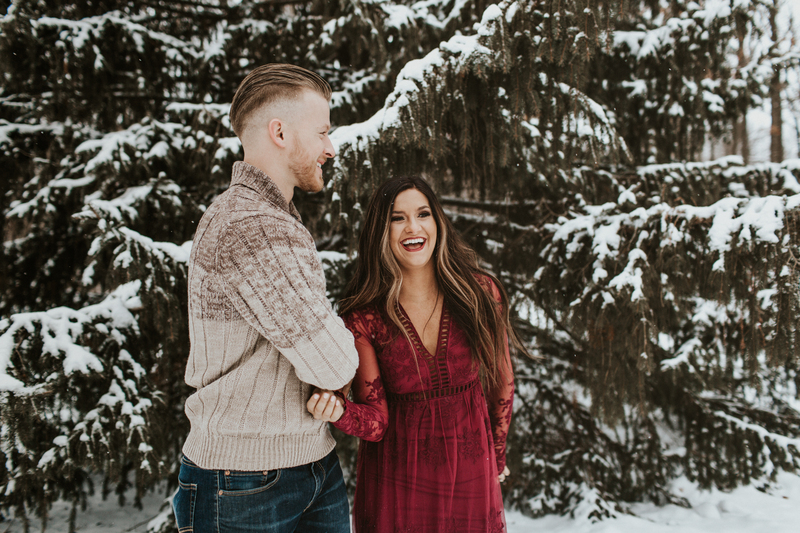 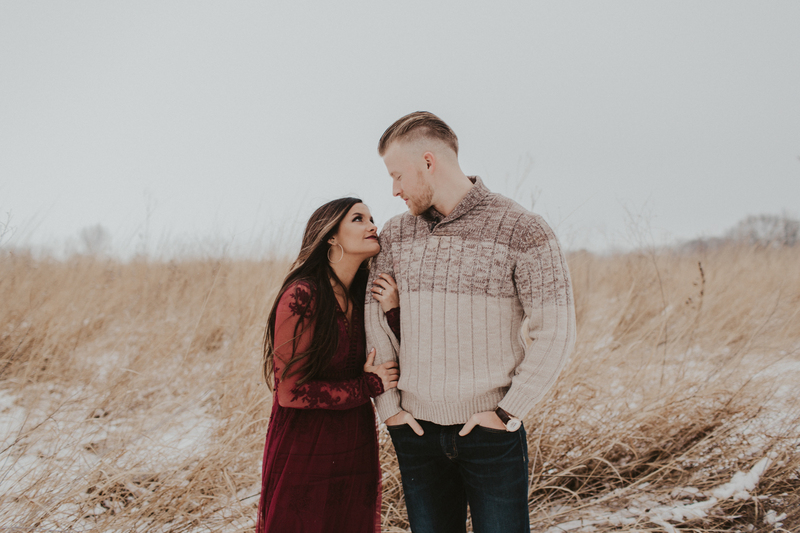 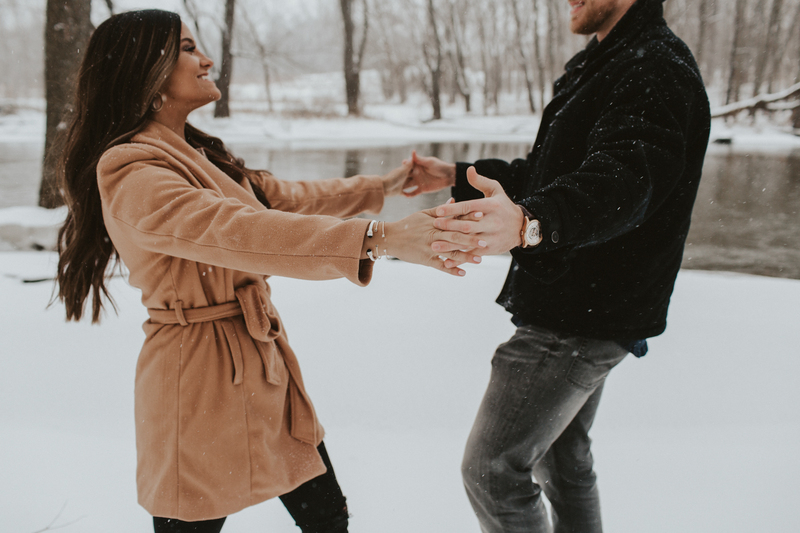 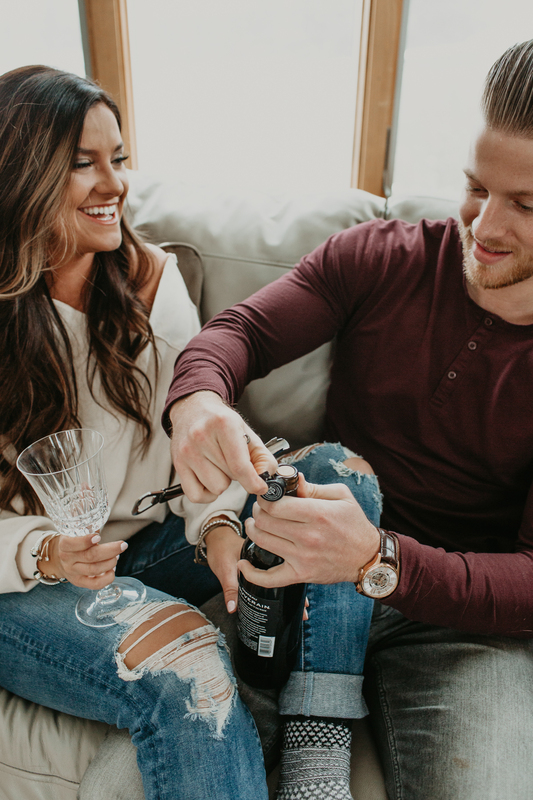 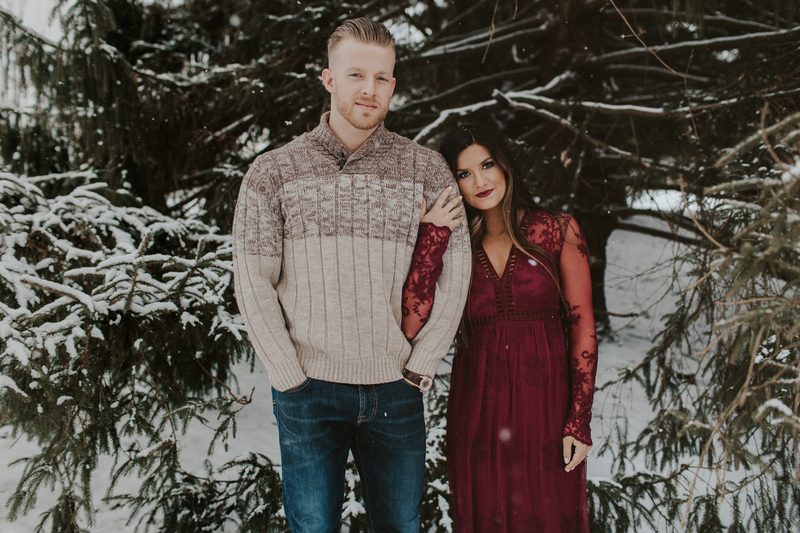 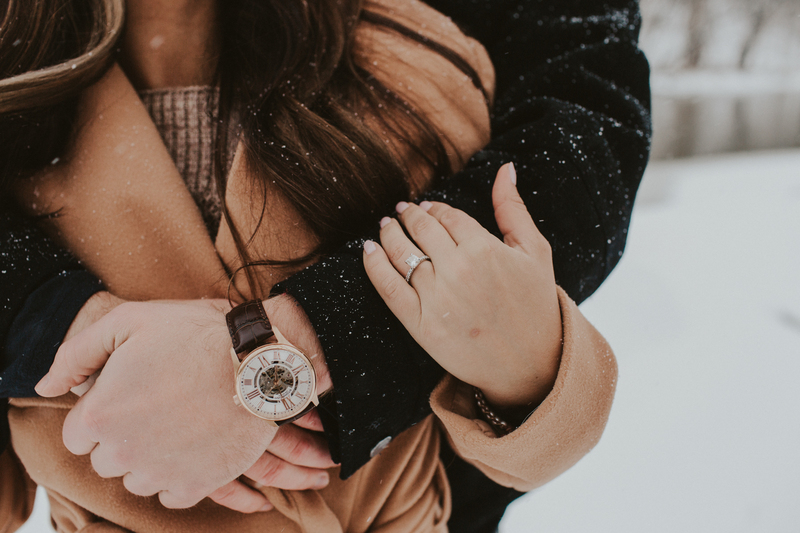 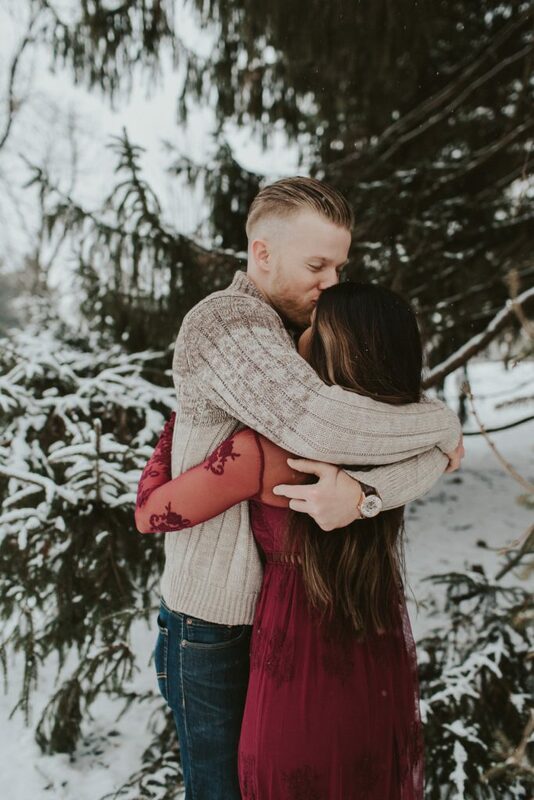 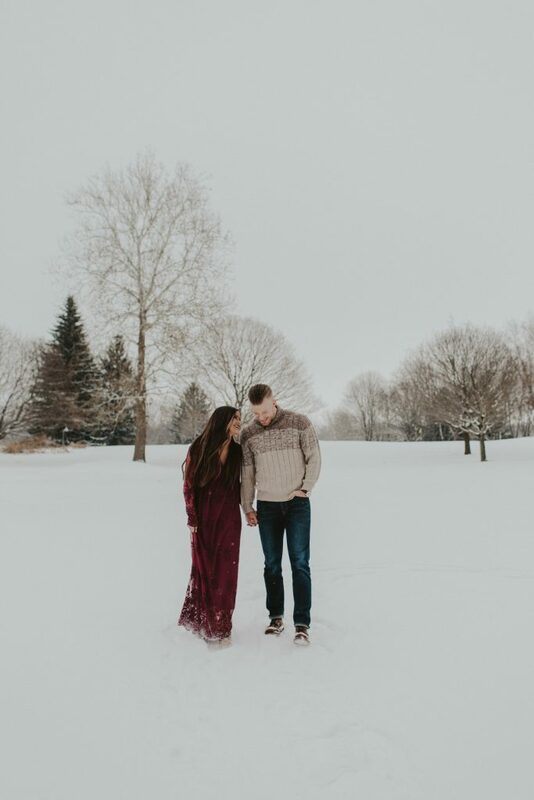 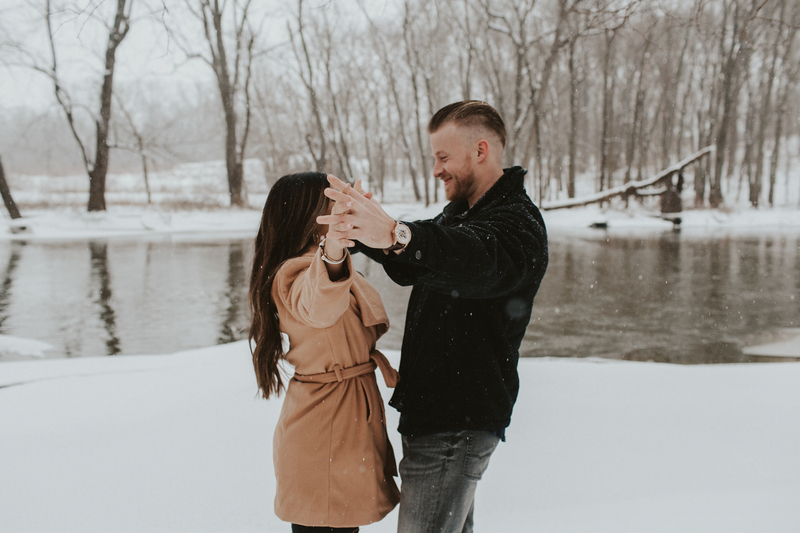 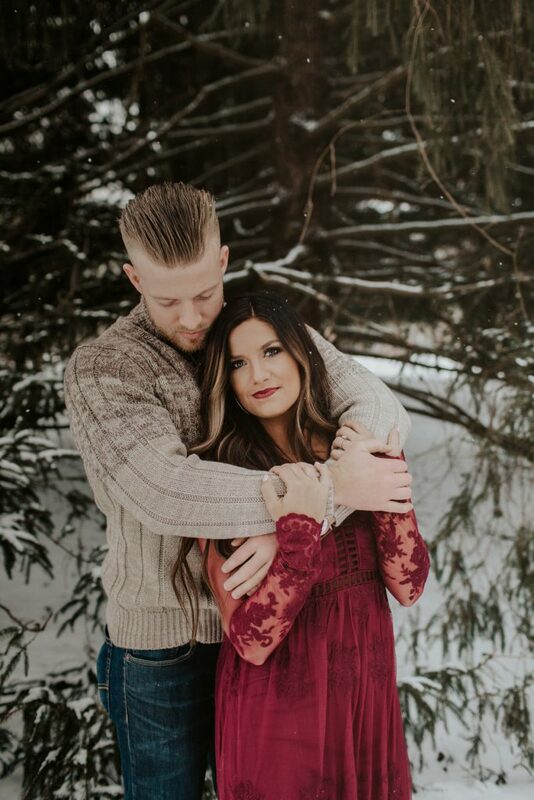 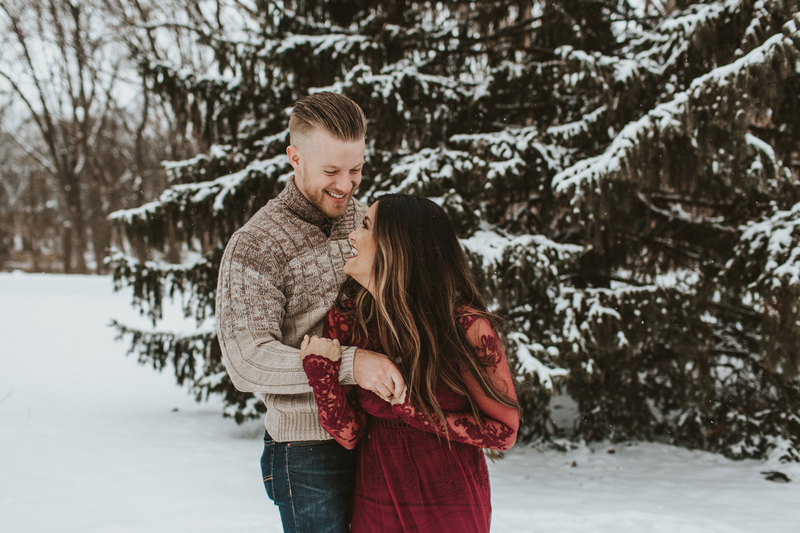 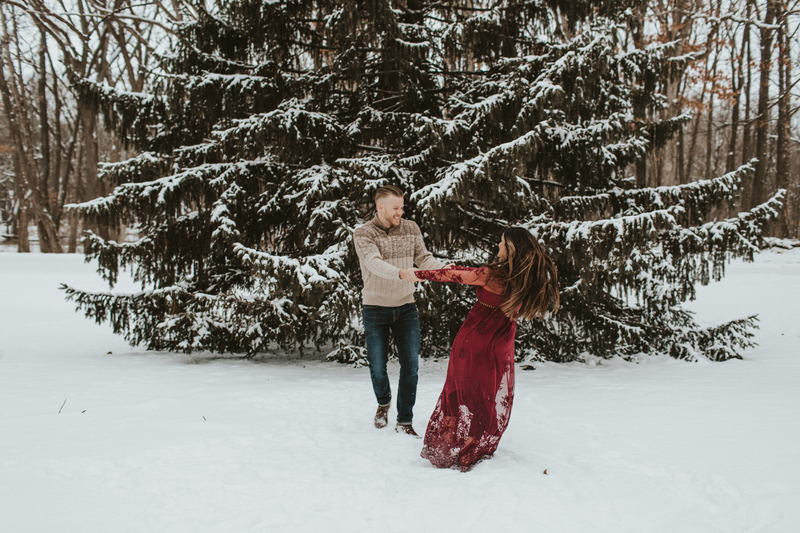 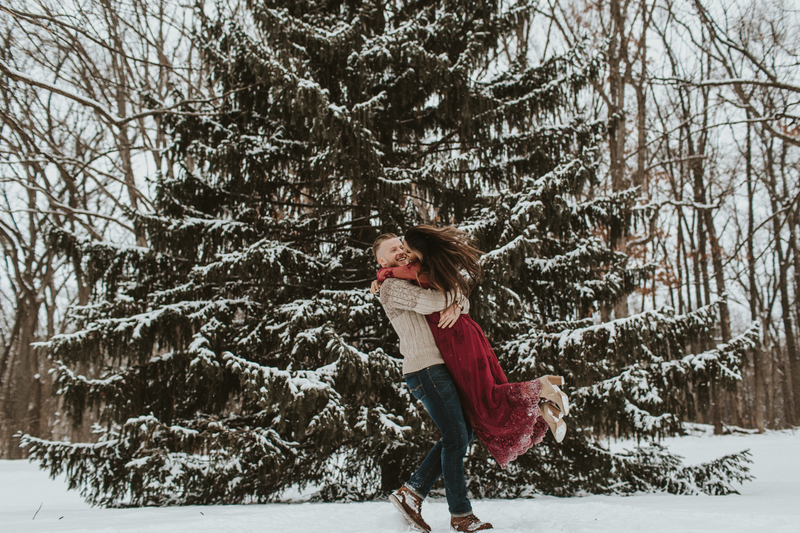 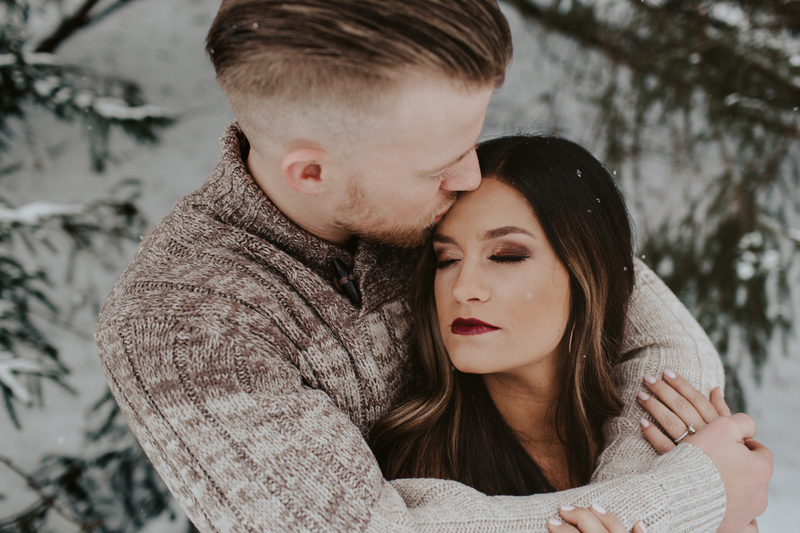 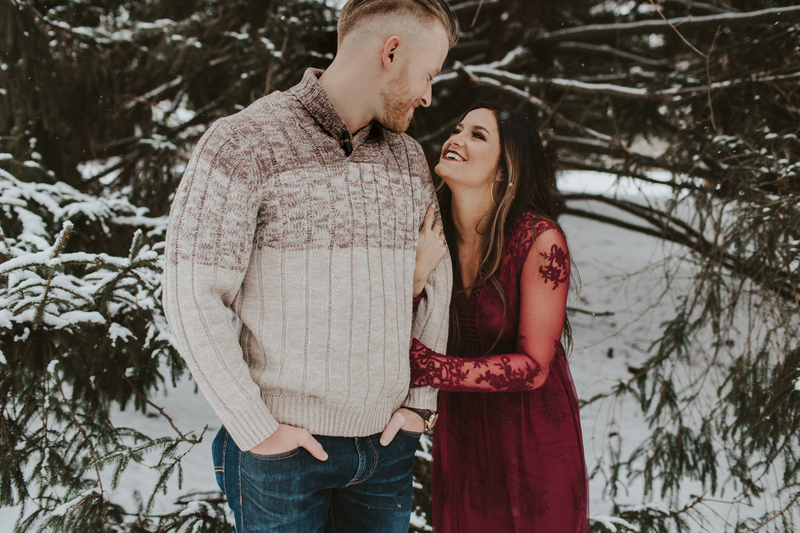 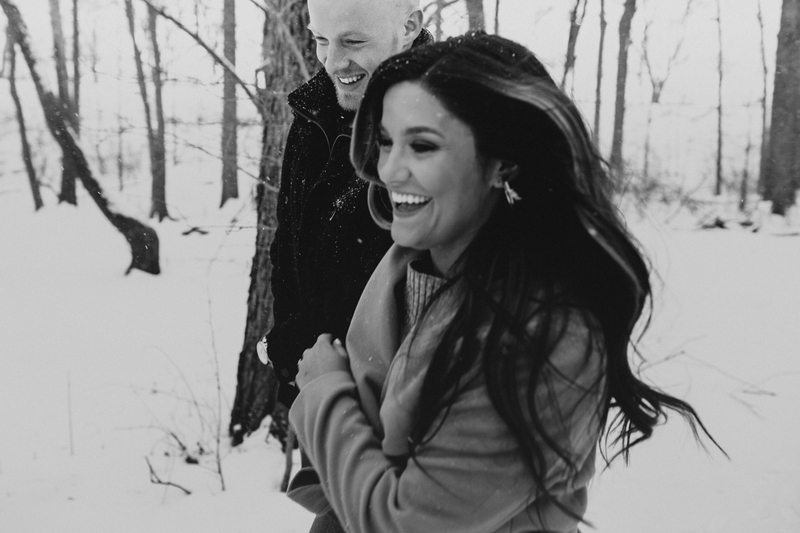 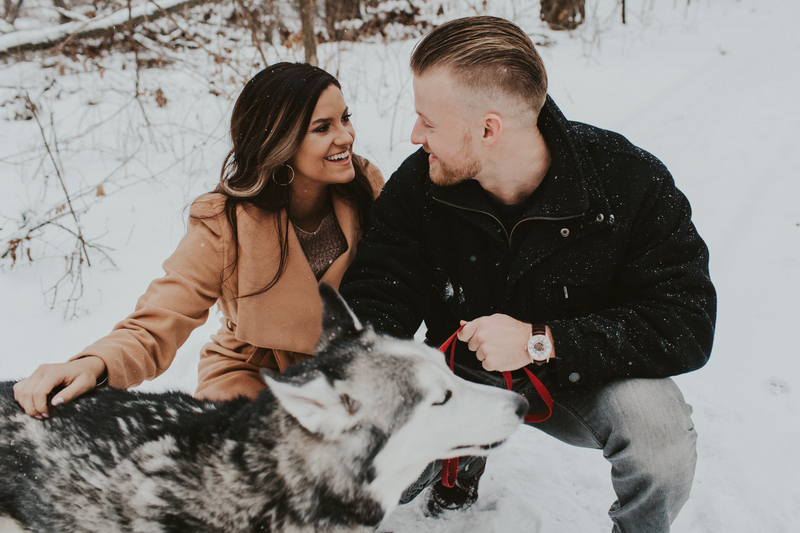 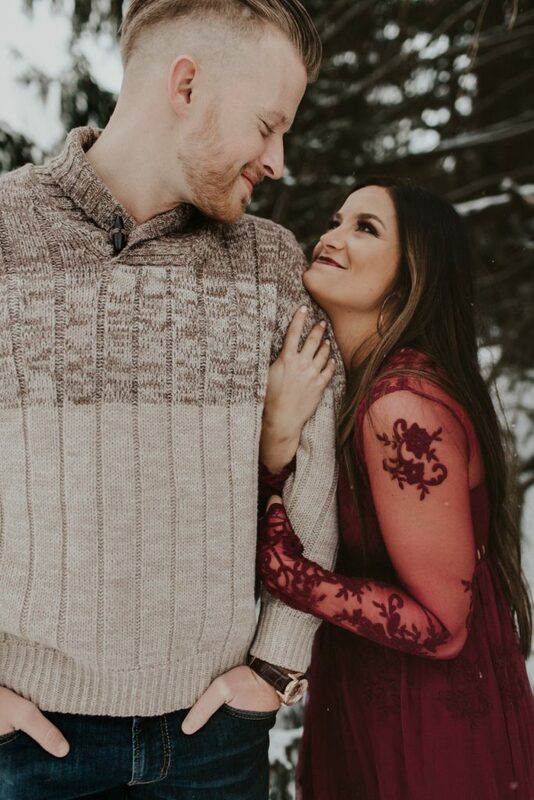 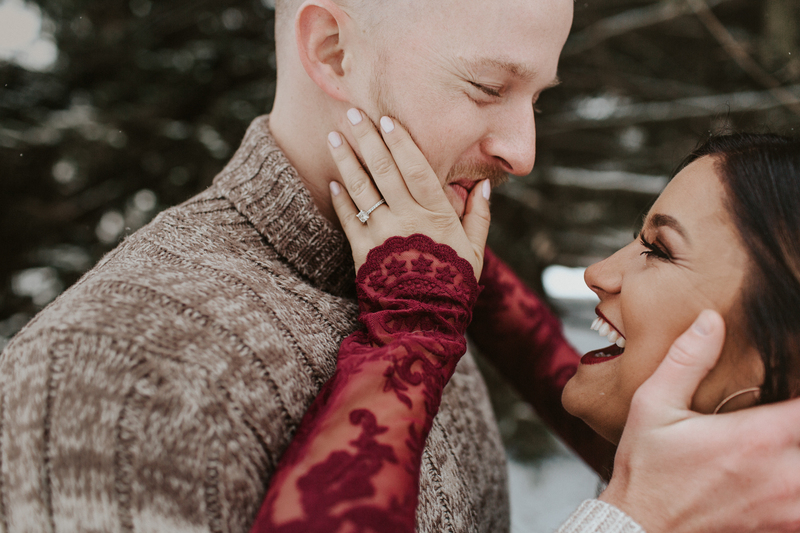 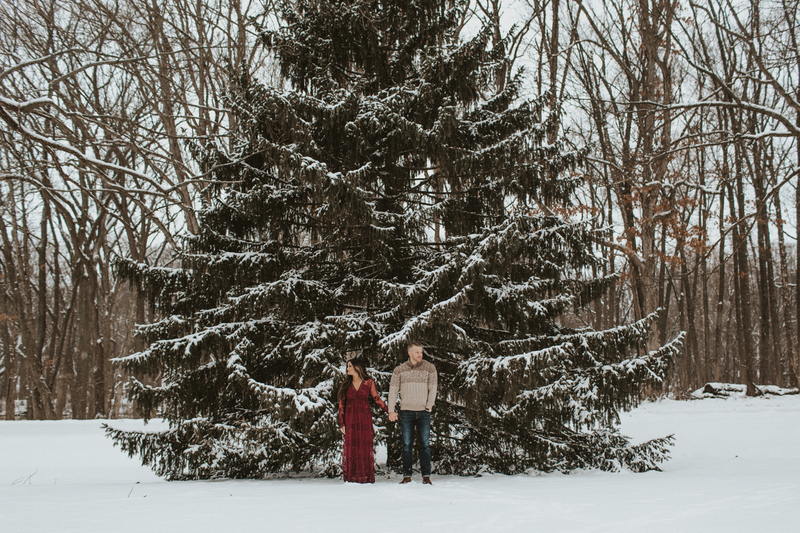 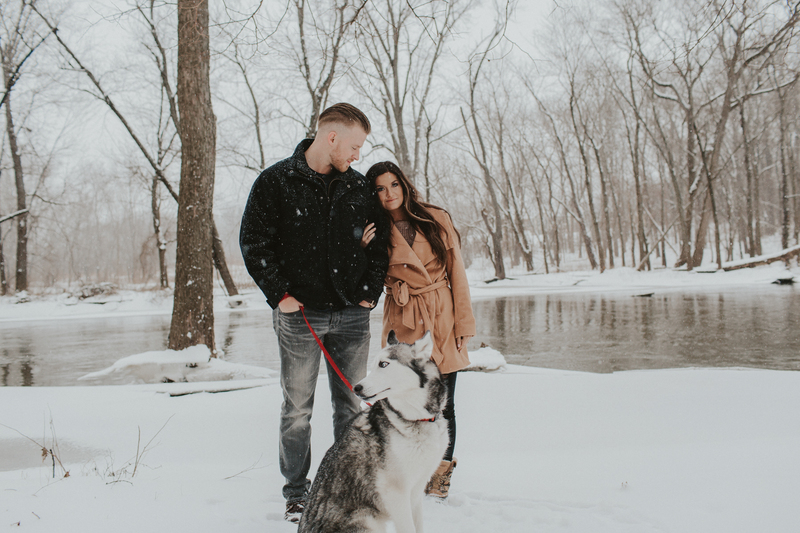 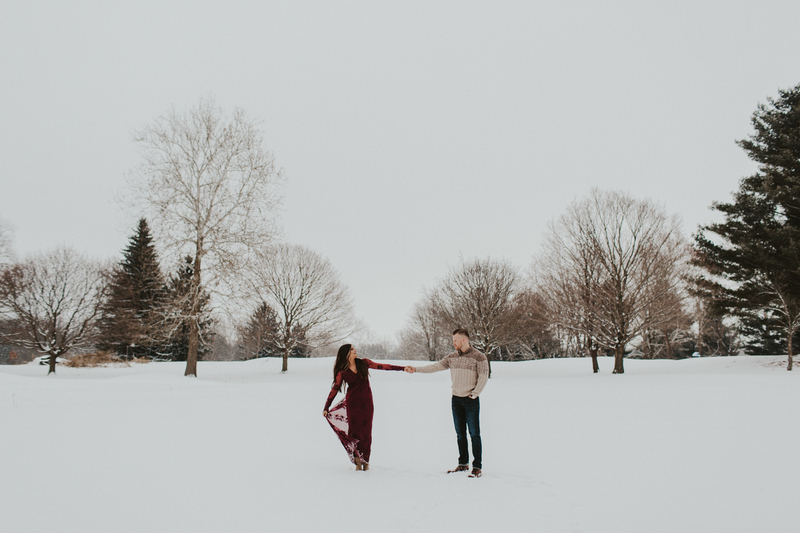 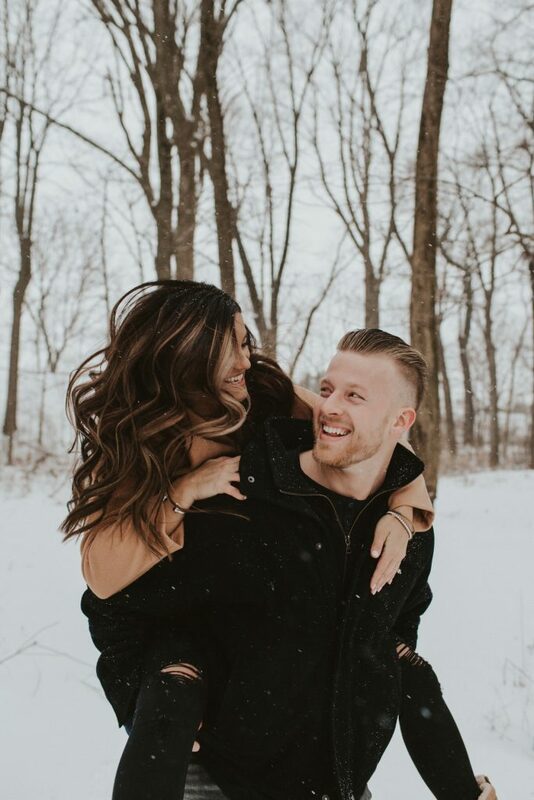 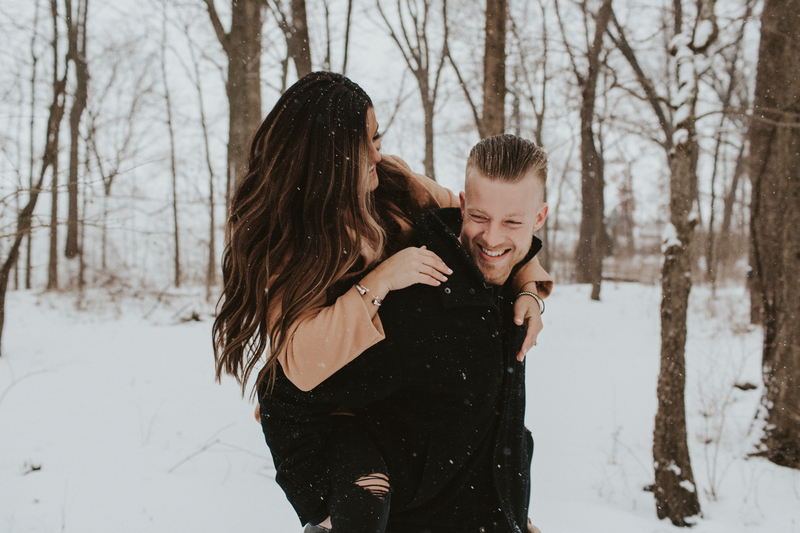 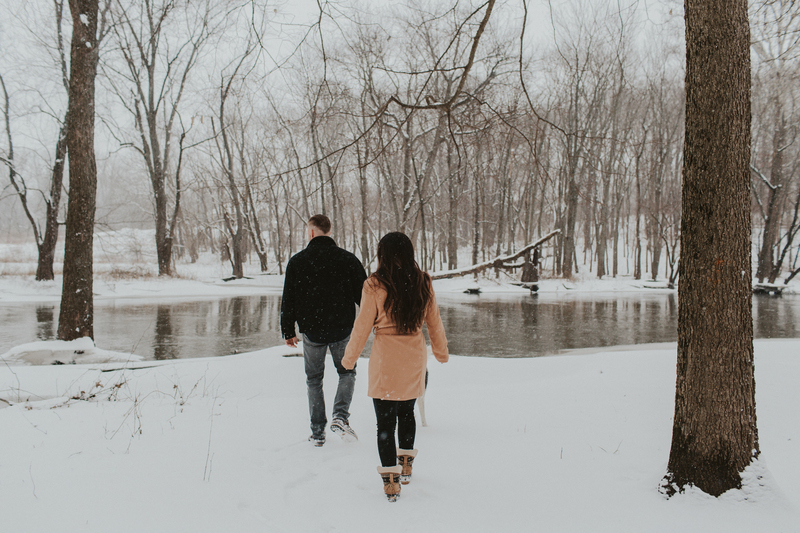 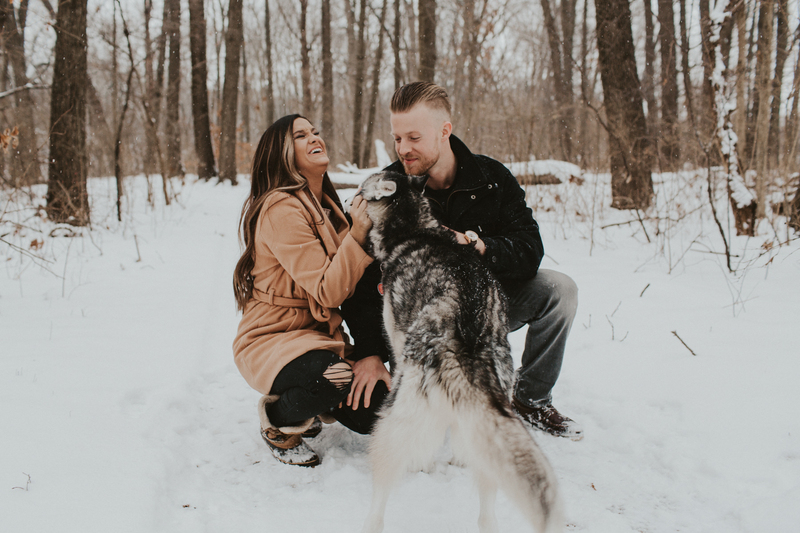 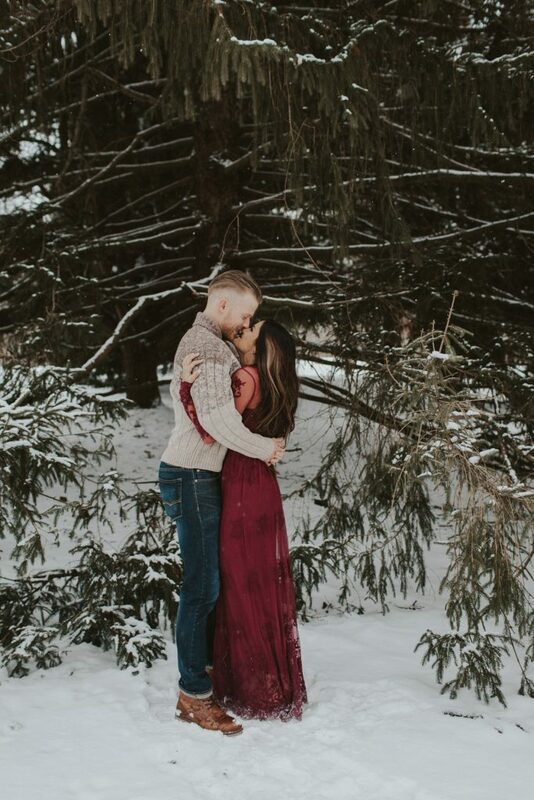 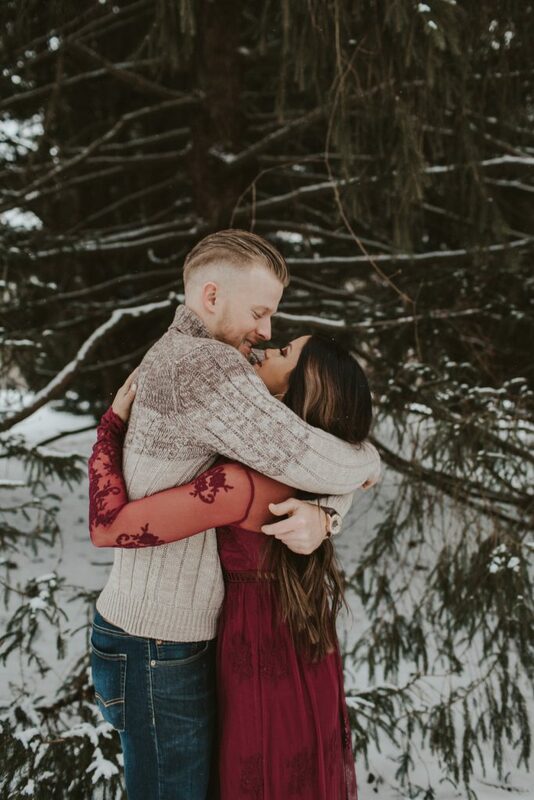 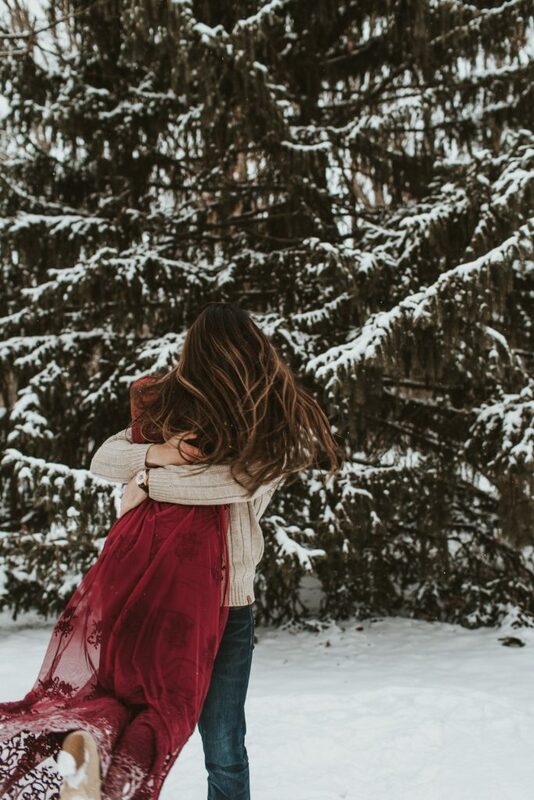 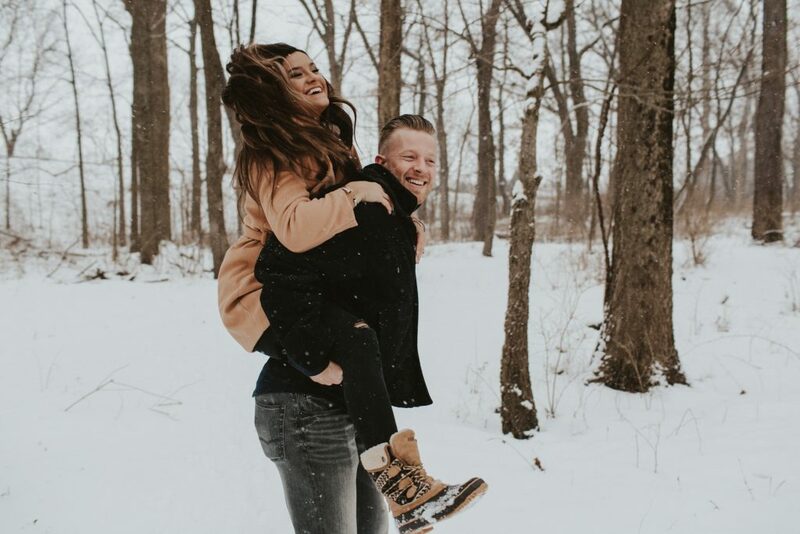 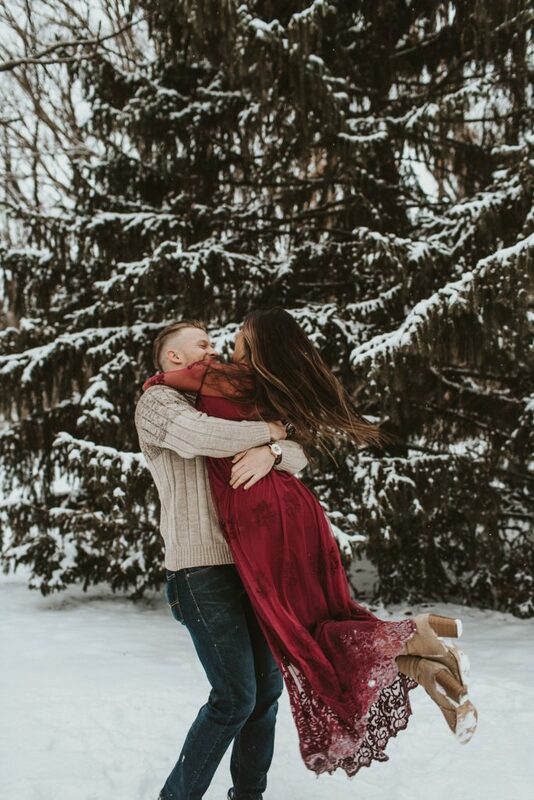 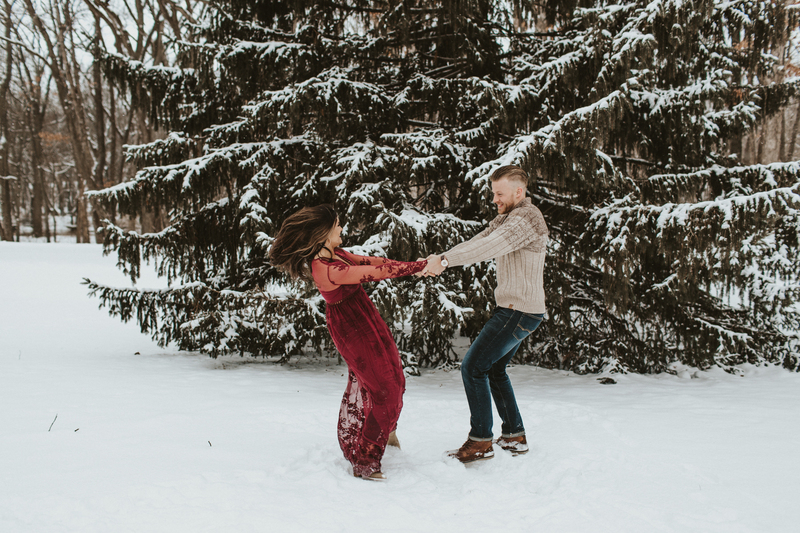 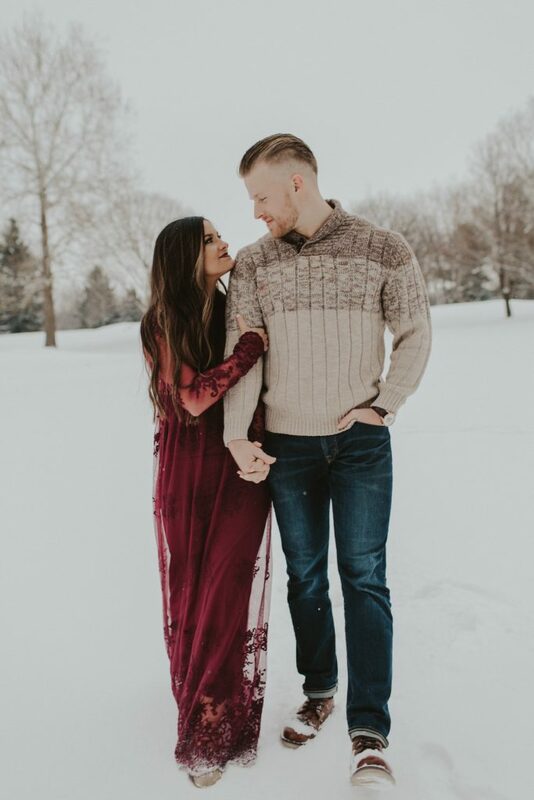 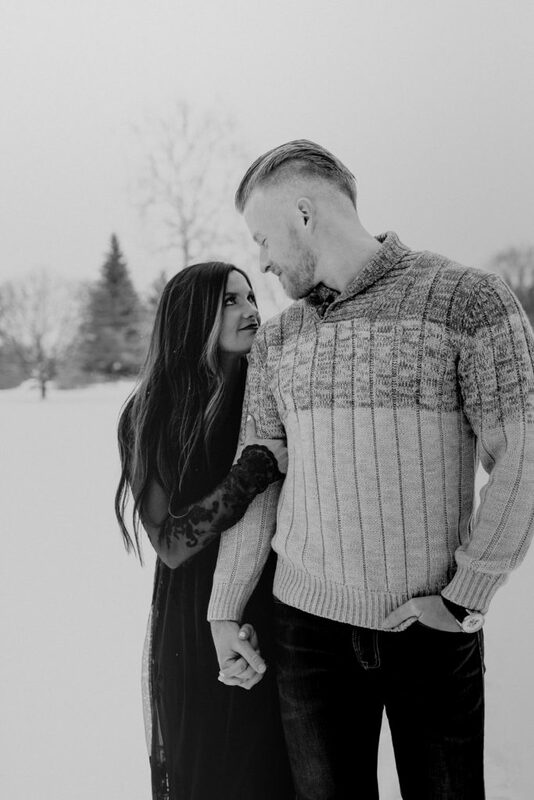 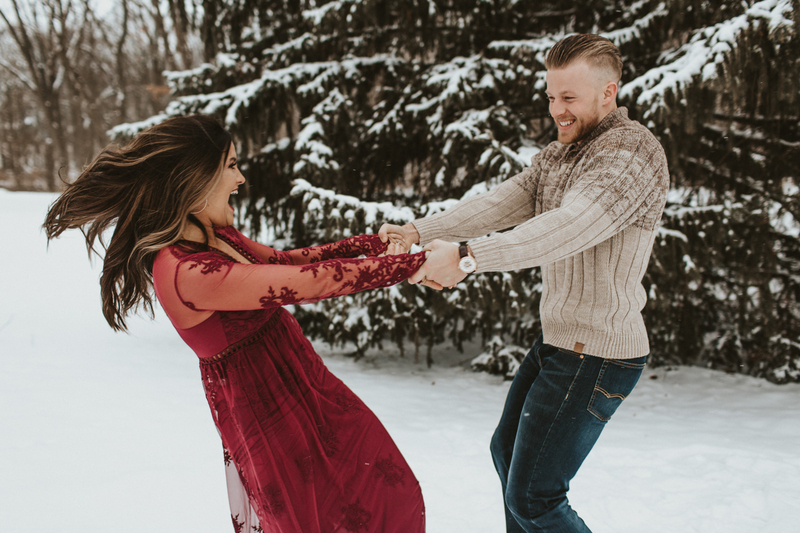 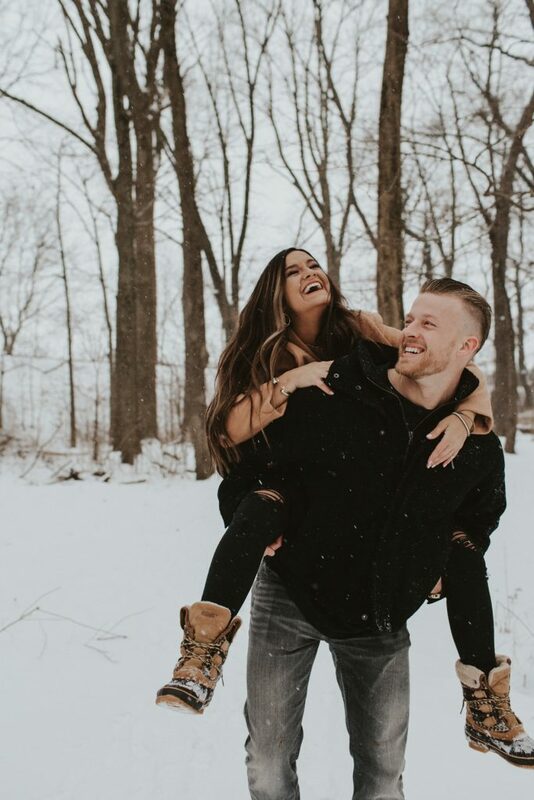 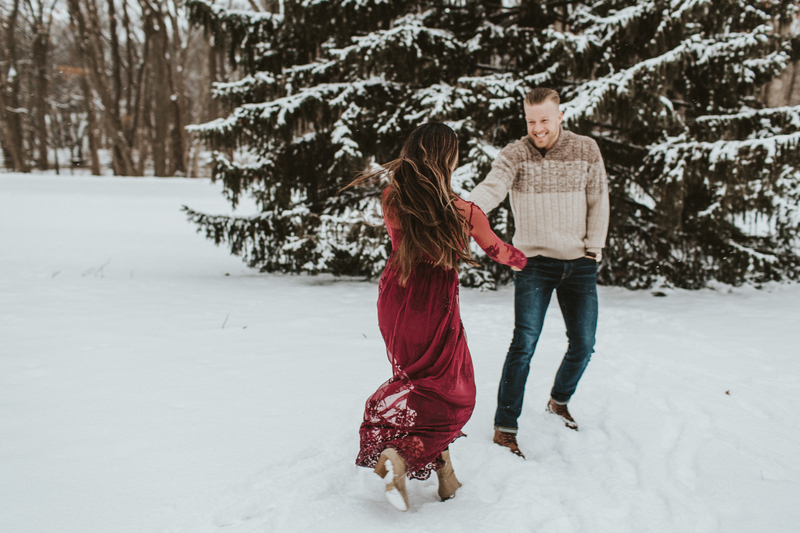 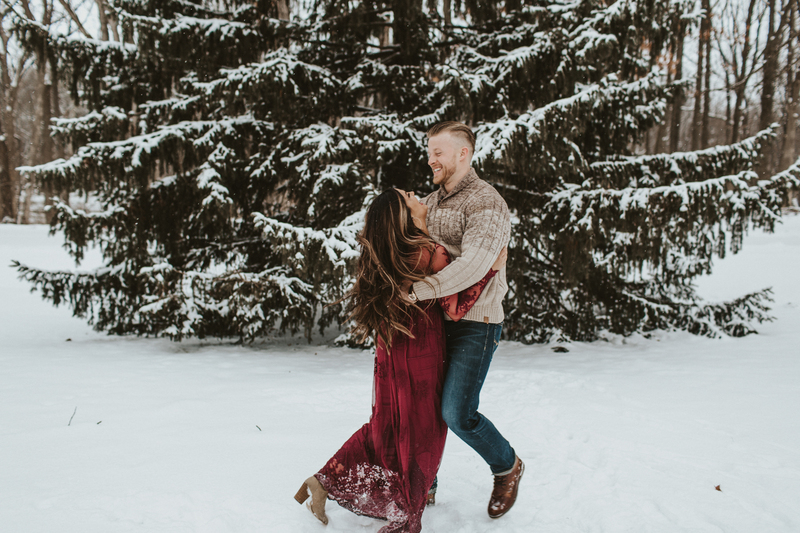 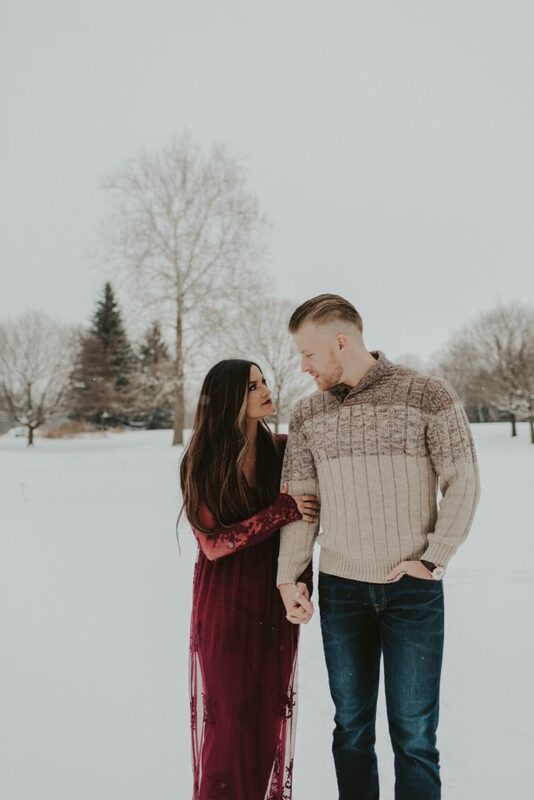 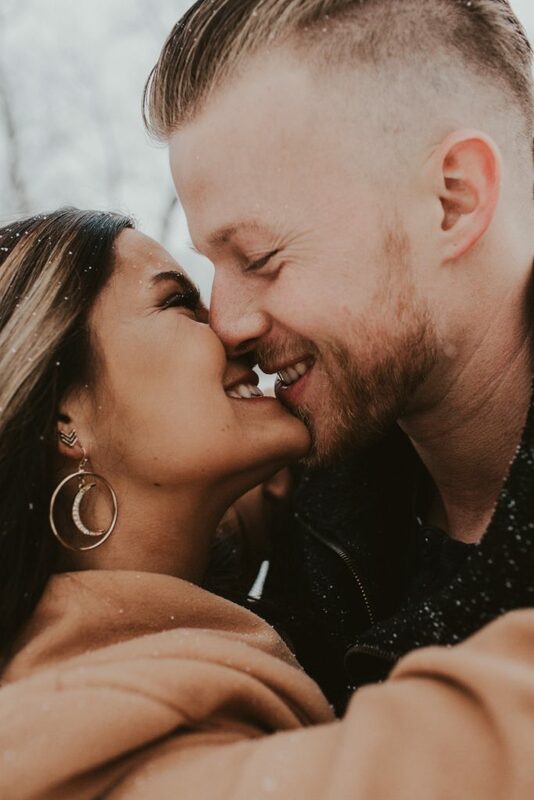 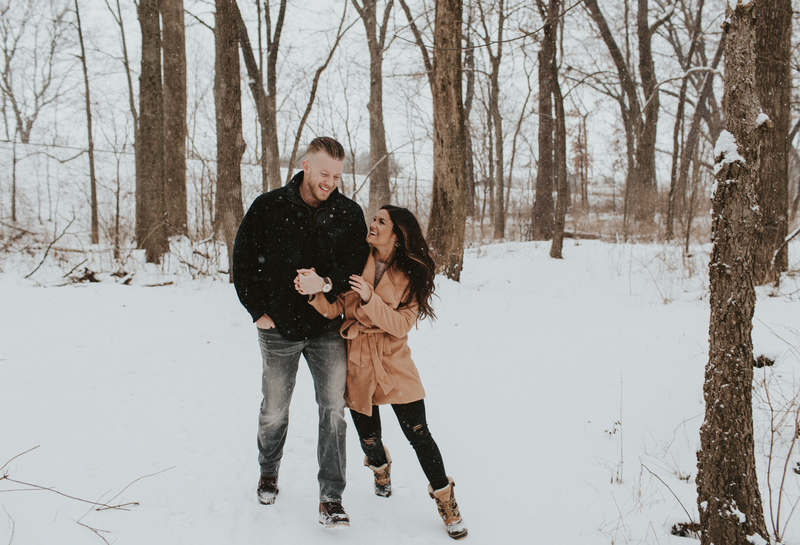 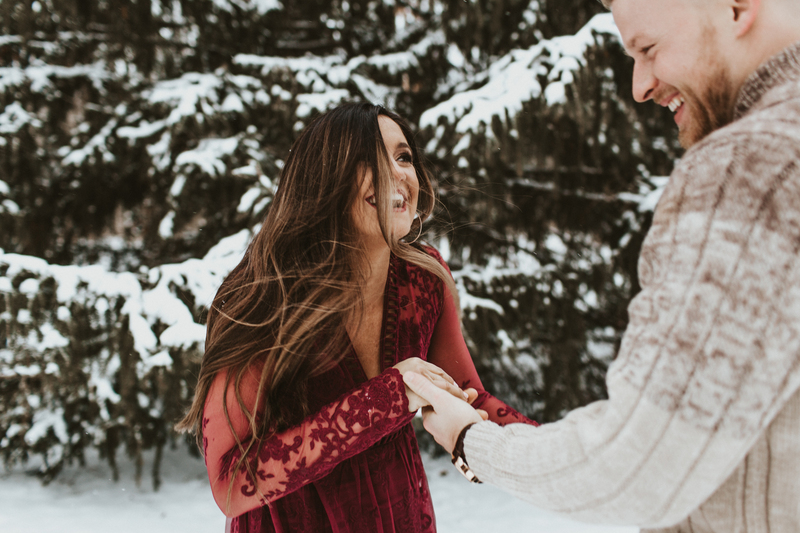 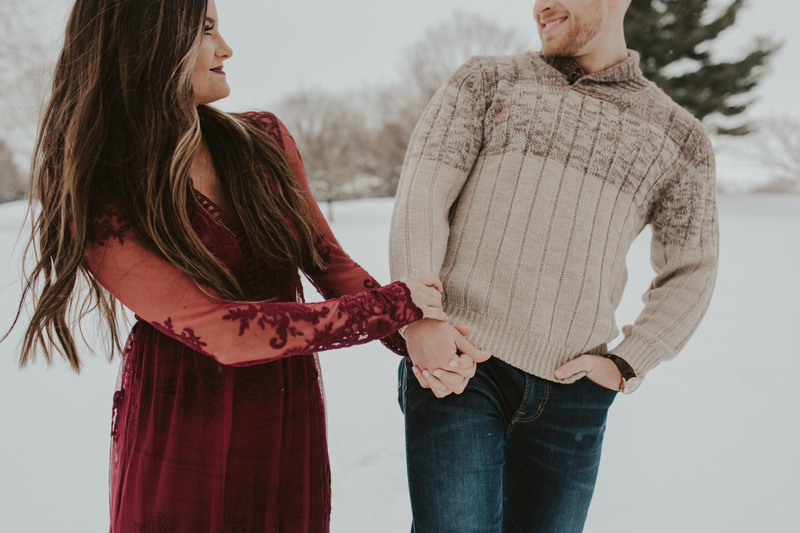 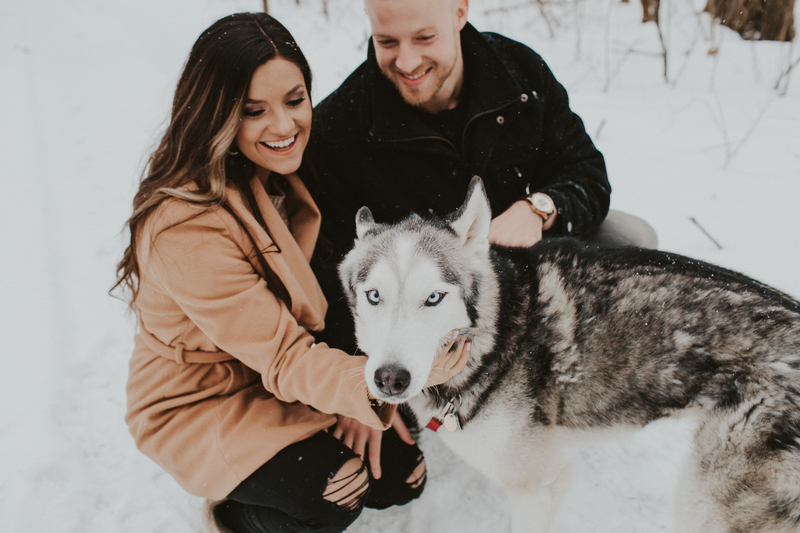 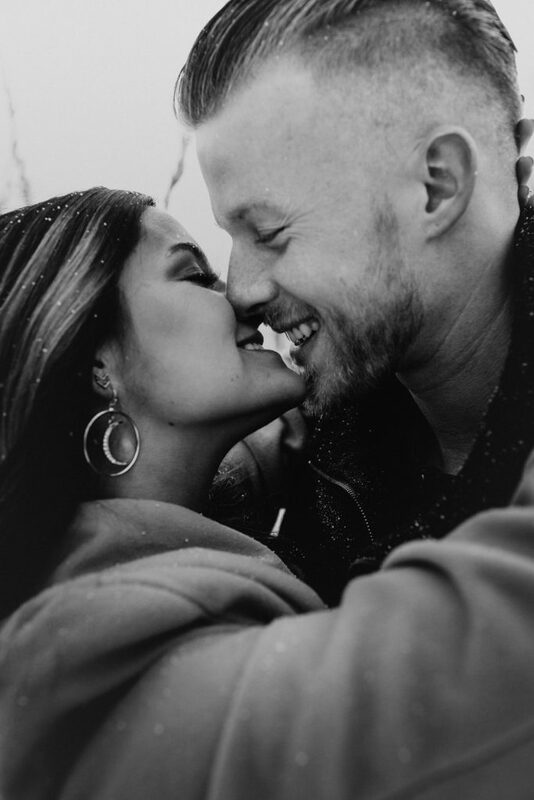 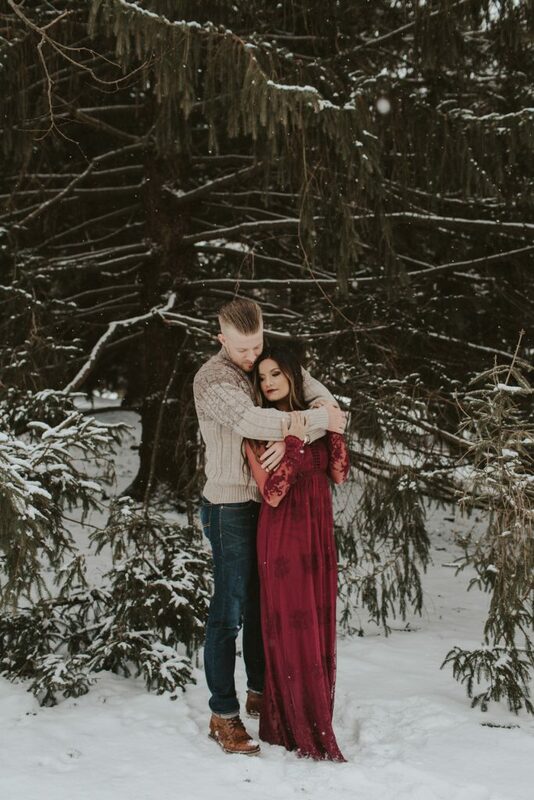 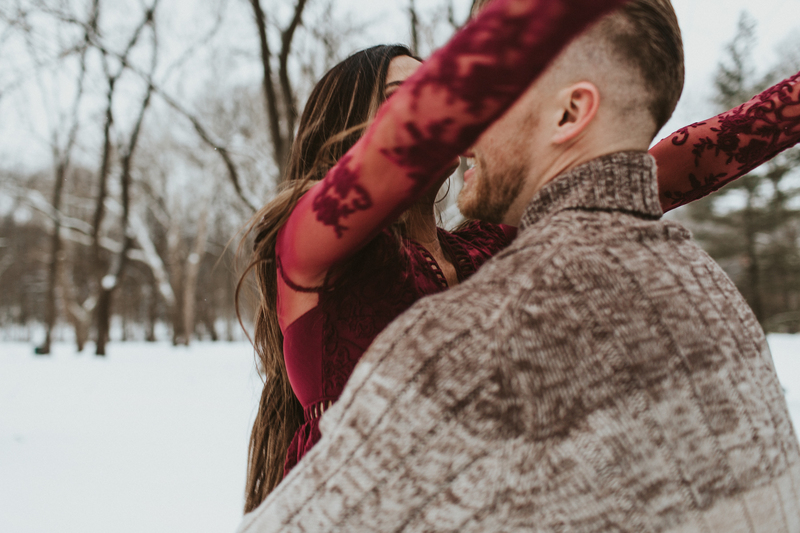 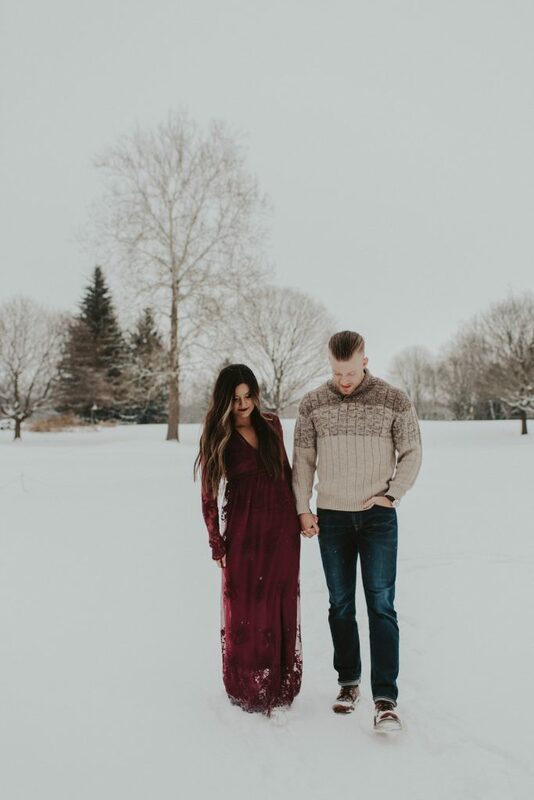 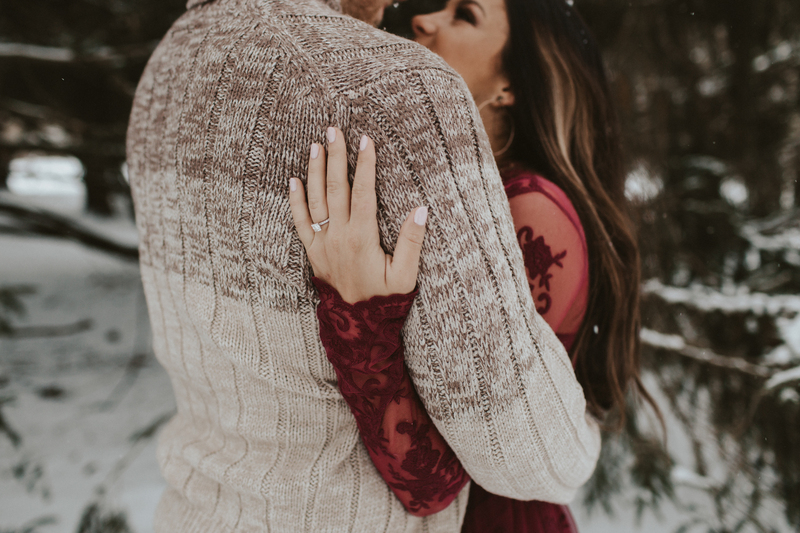 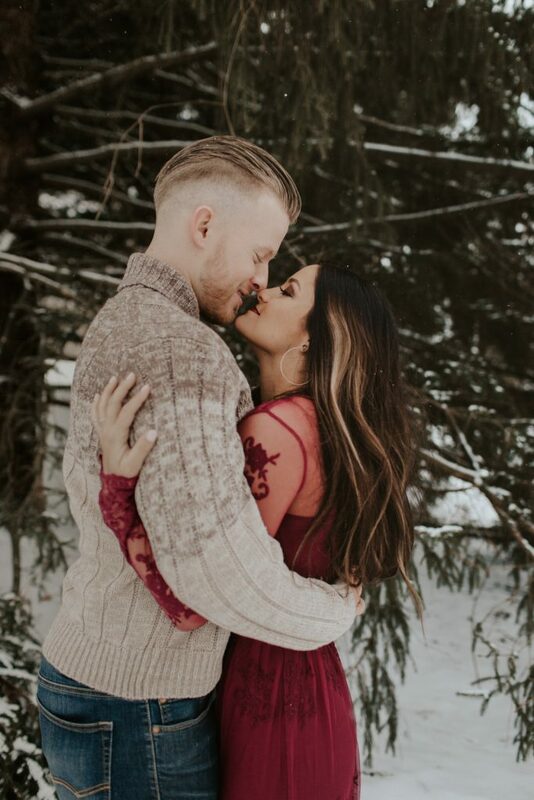 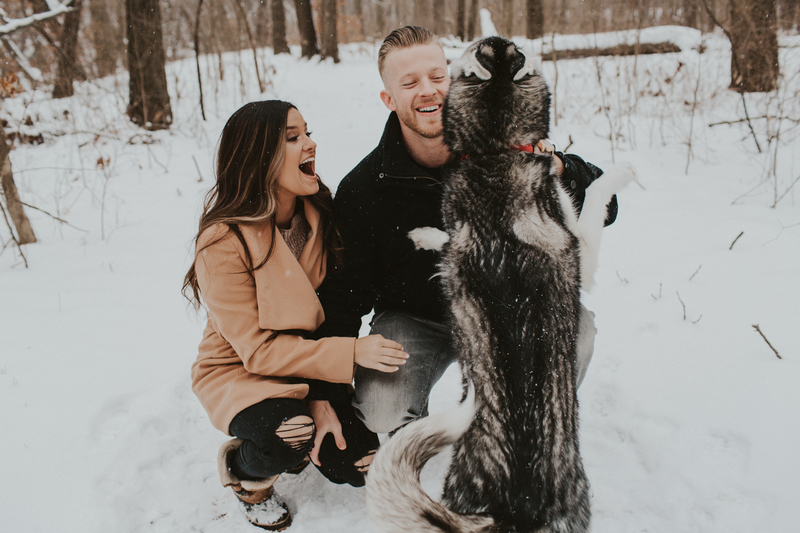 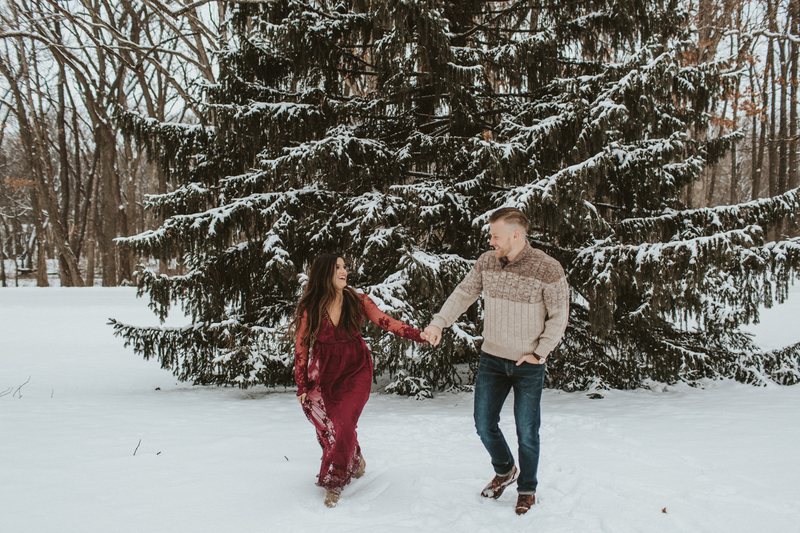 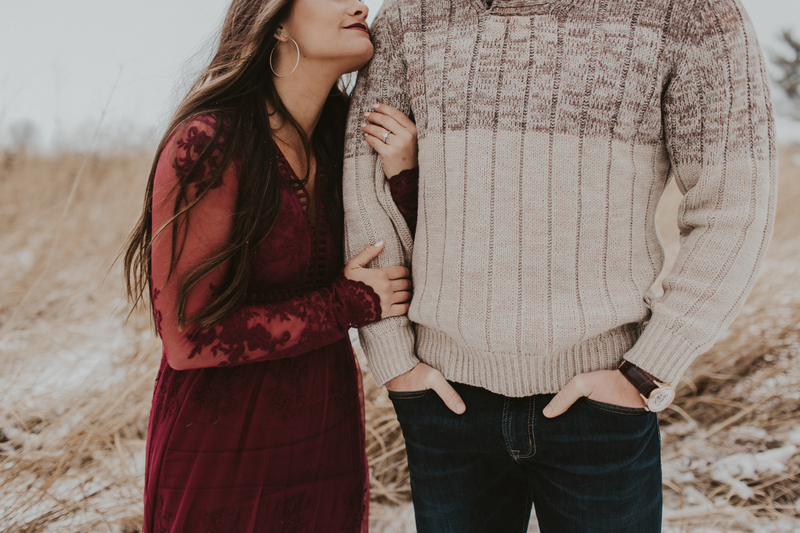 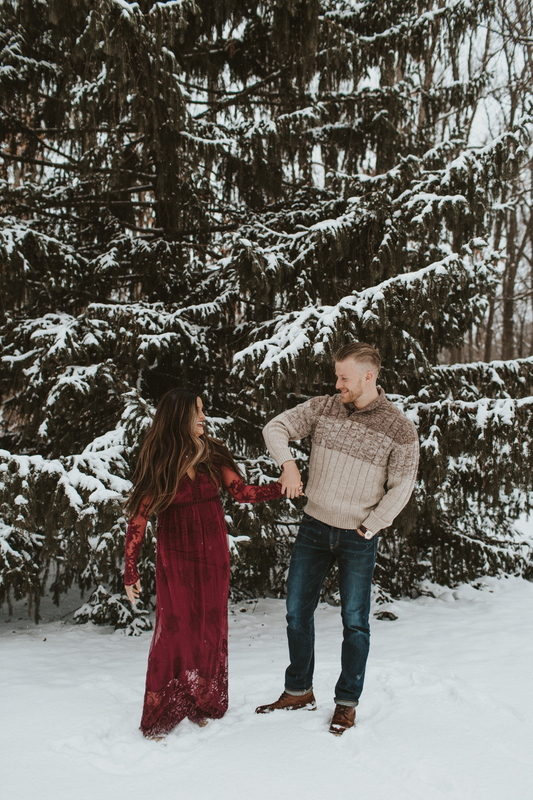 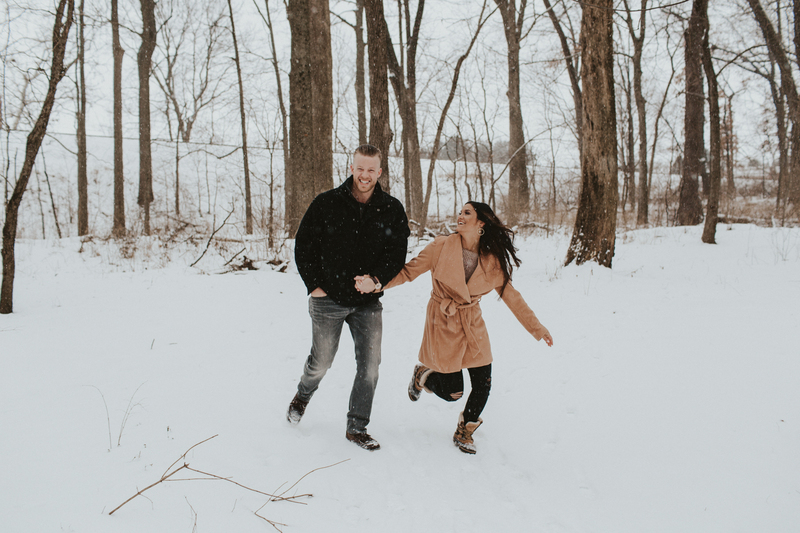 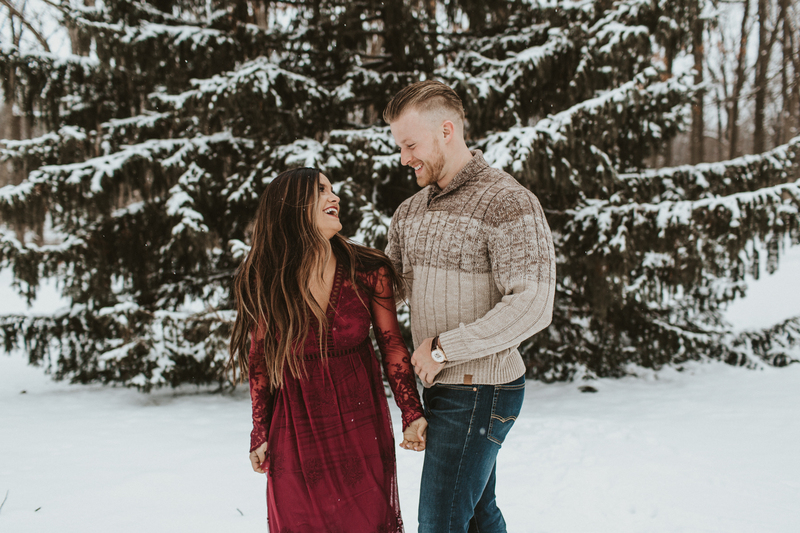 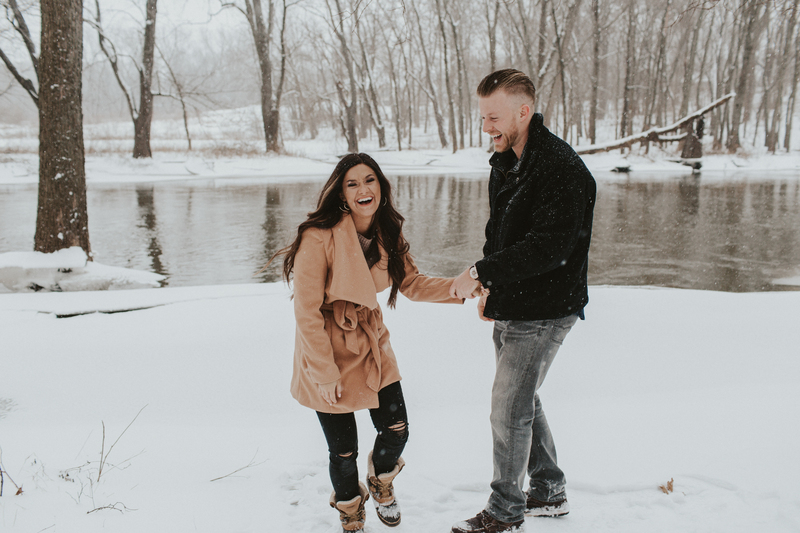 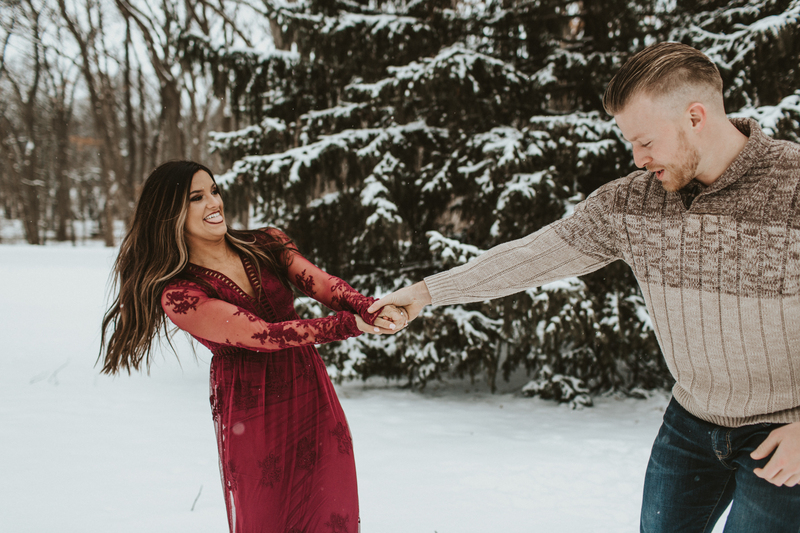 for a snowy winter engagement session. 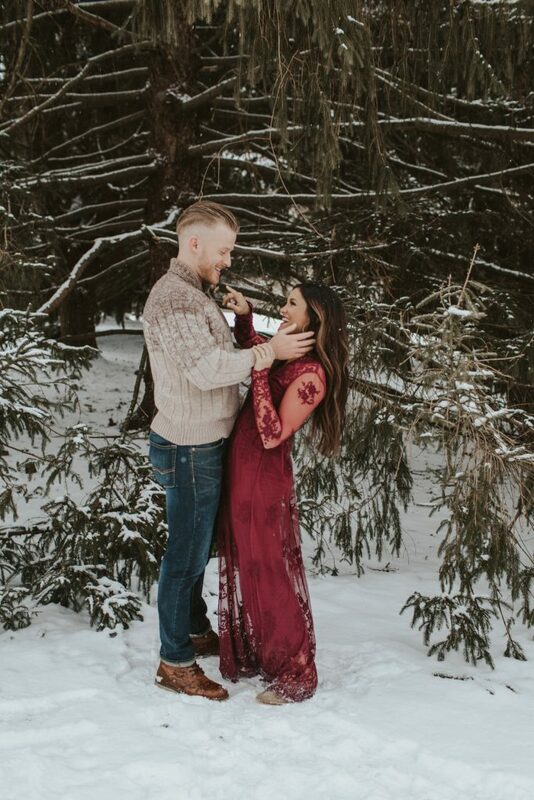 I was immediately sold! 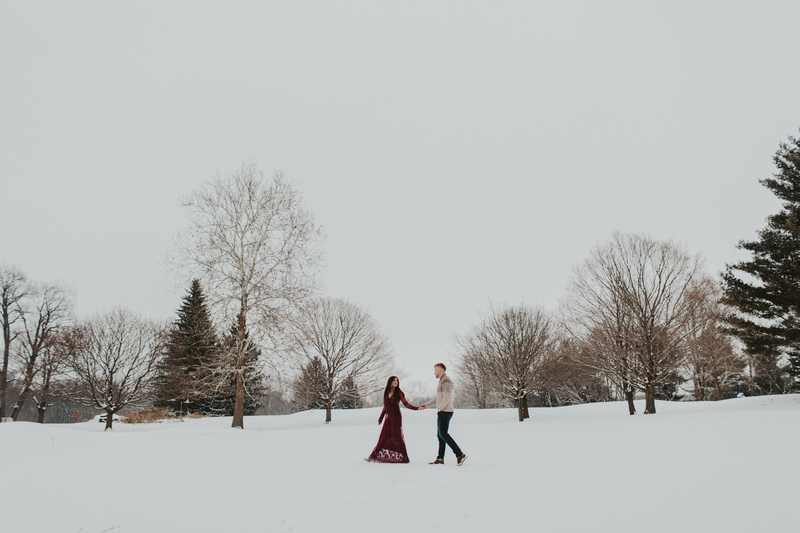 Living in the Midwest, trying to plan around the snow can be quite the challenge – but we truly couldn’t have picked a more perfect day! 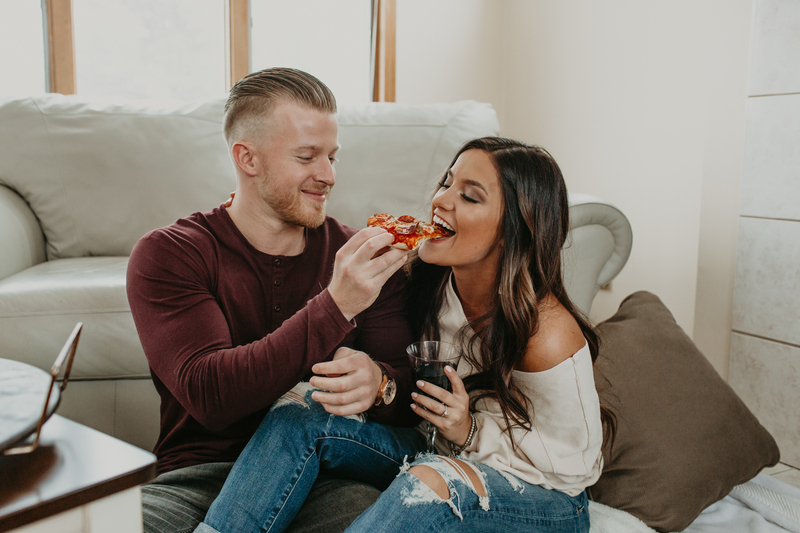 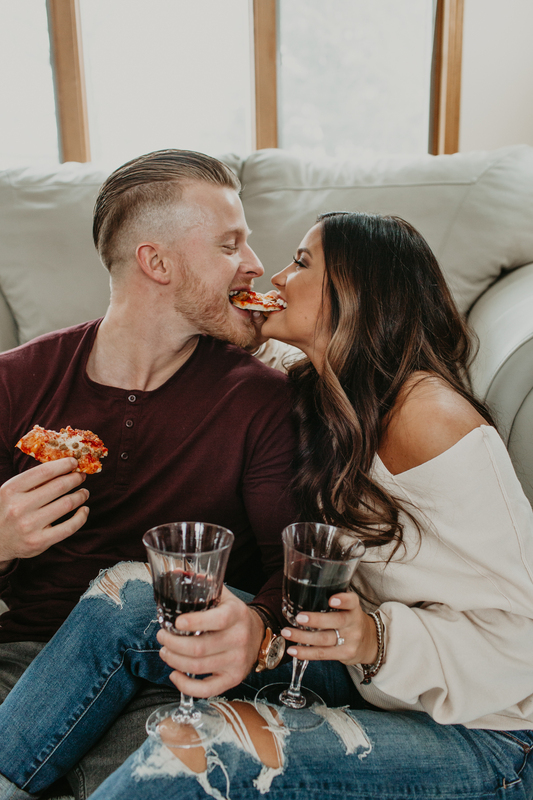 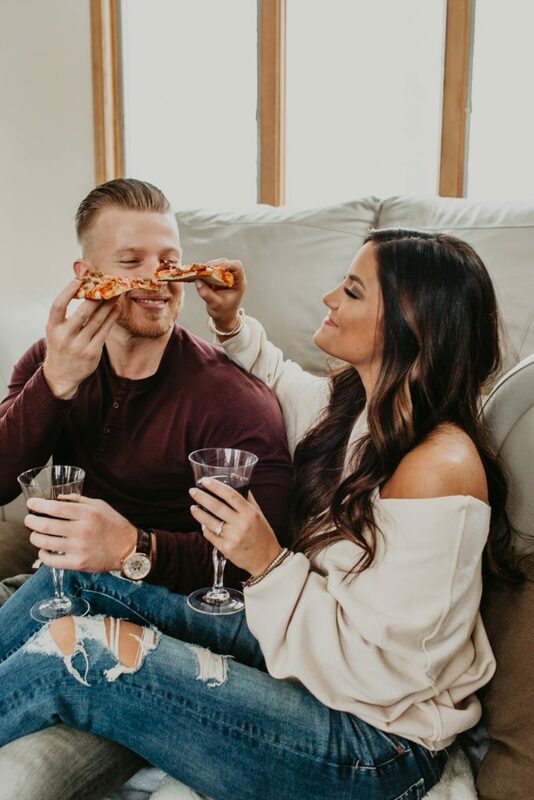 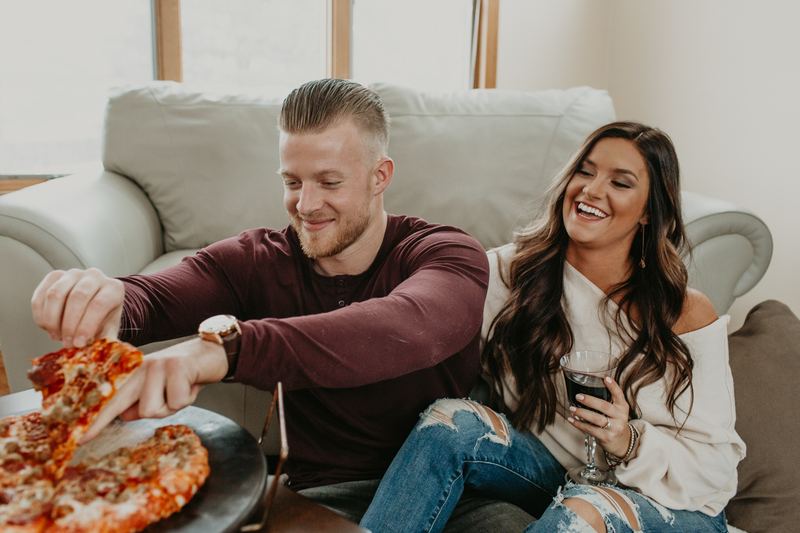 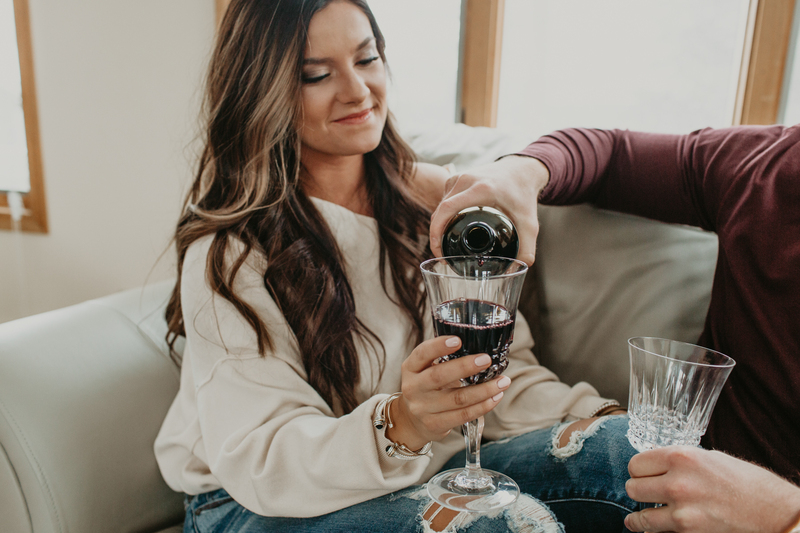 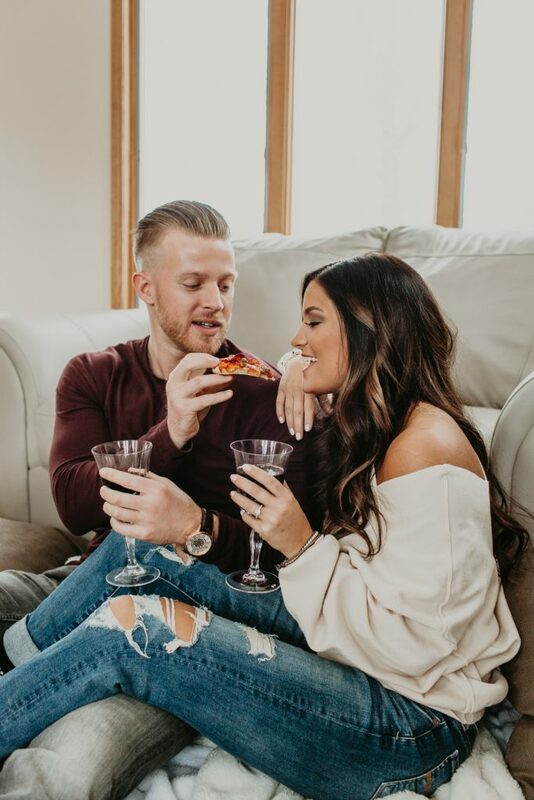 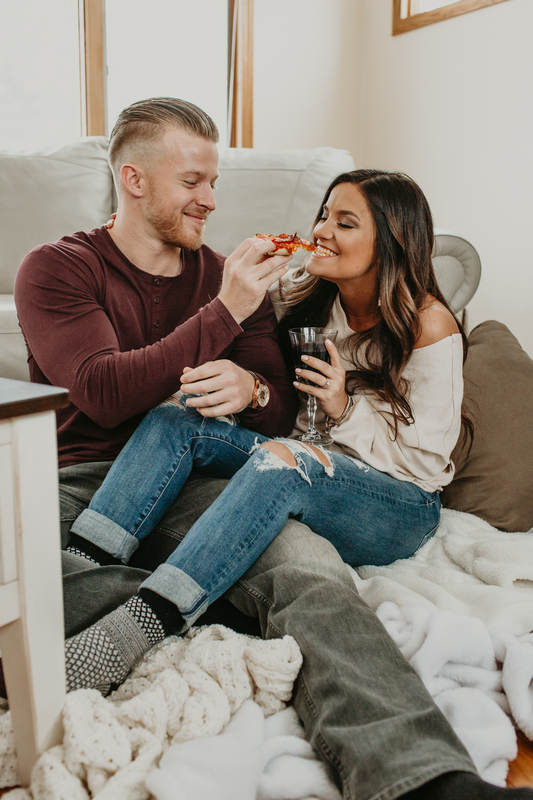 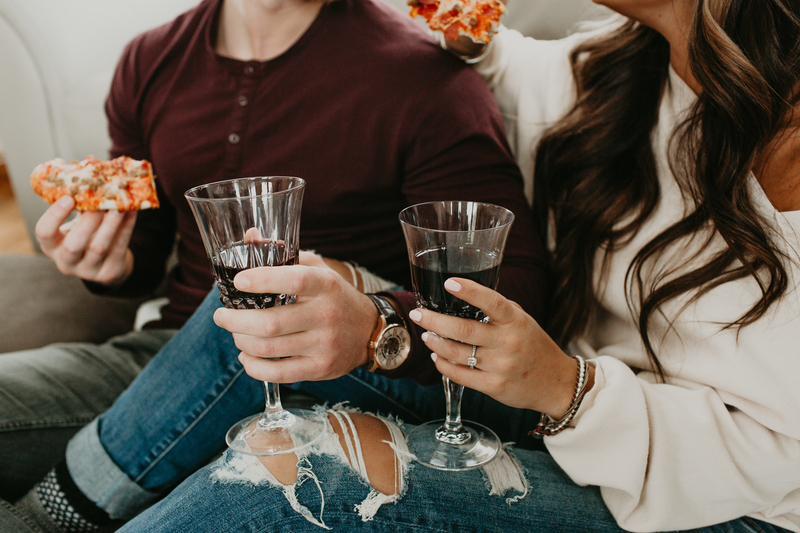 Cozying up by the fire, sipping on wine + snacking on pizza… is there a better way to start off a session?! 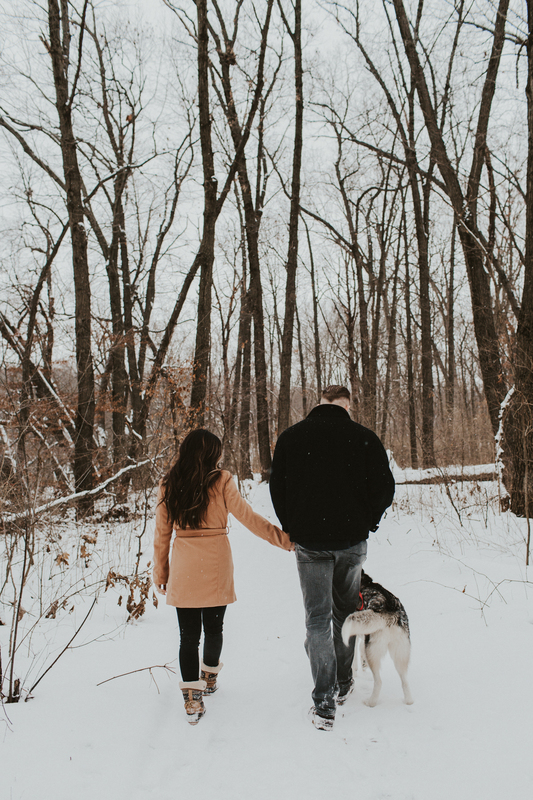 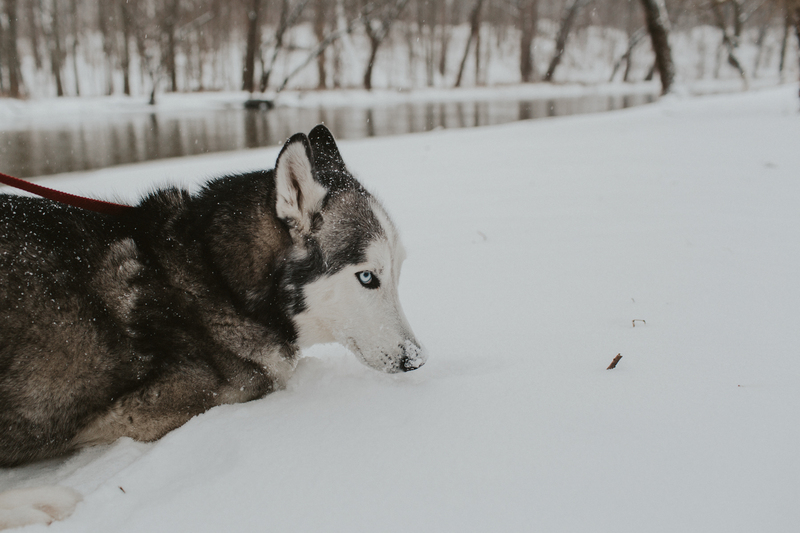 After getting nice + toasty, we braved the cold – with their best friends + pup in tow – and we adventured into the snow! 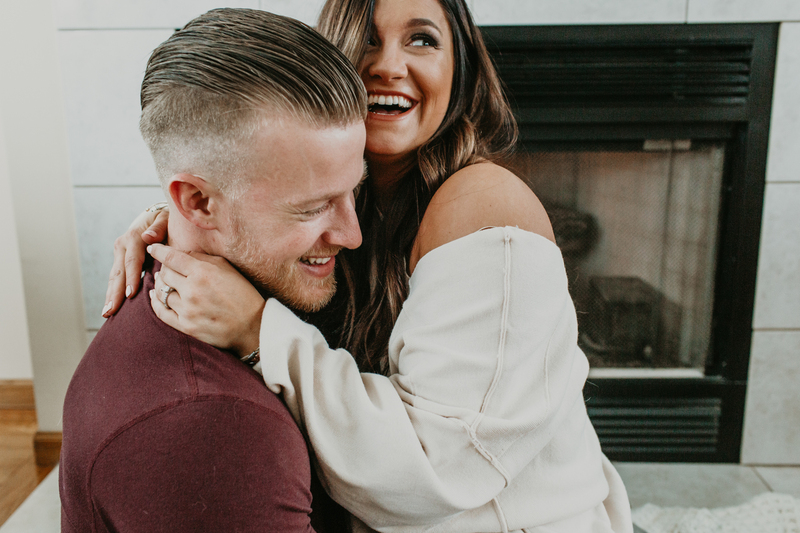 I could go on and on about how much this session completely exceeded my expectations… but instead, I’ll let you just see for yourself! 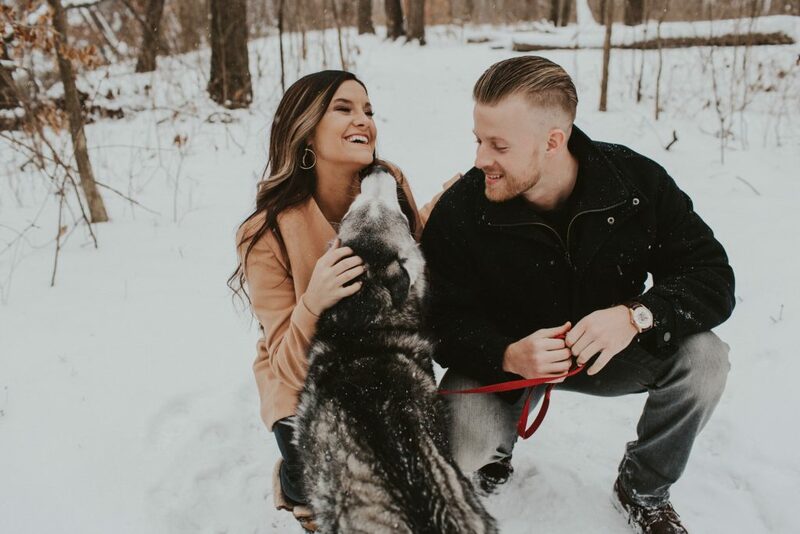 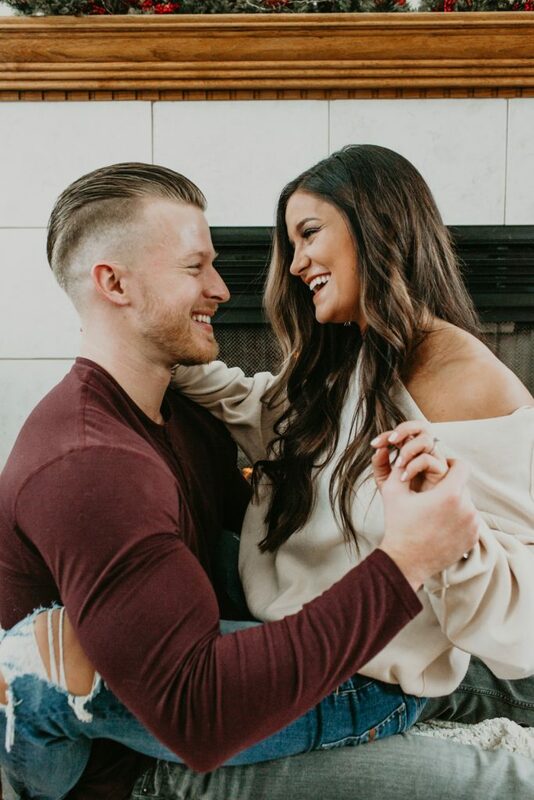 Congrats to Lacey + Jared!